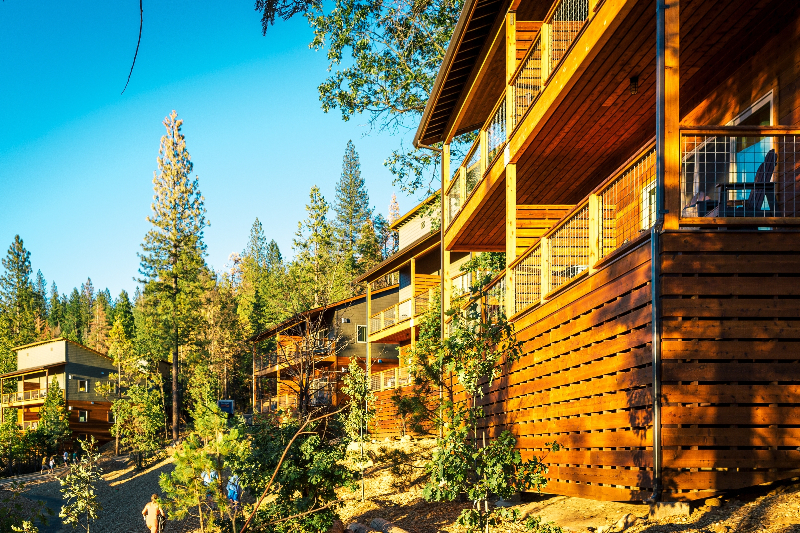 Since 1989, Hoshida & Reyes Architecture/Planning/Interiors has combined creativity and experience to provide a wide range of architecture, planning and interior design services throughout the state of California and Hawaii. 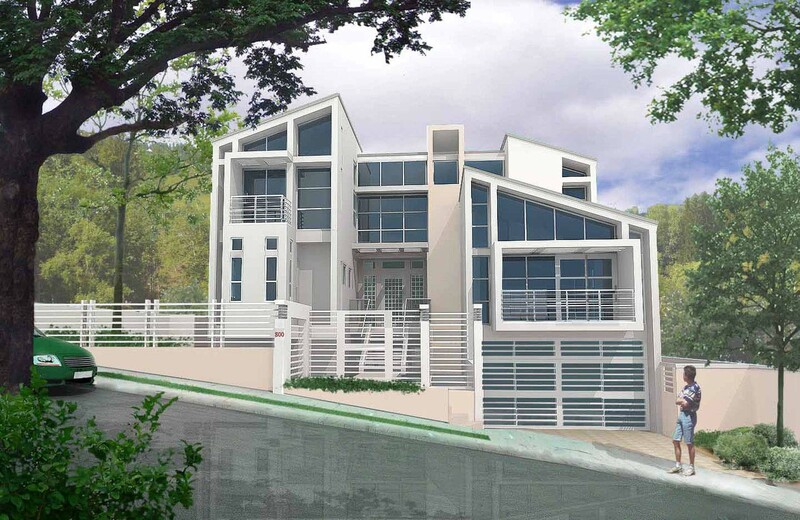 The firm’s primary focus is to provide outstanding architectural design, sensitive to our clients’ needs. 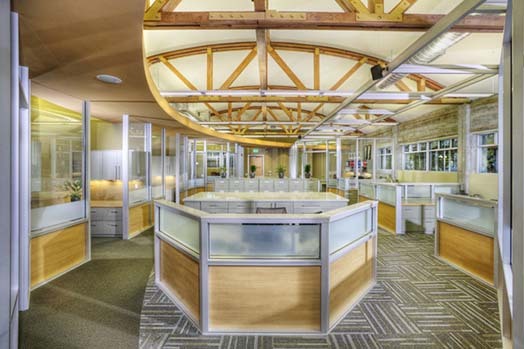 We are committed to provide the service and client collaboration necessary to ensure architectural quality and excellence. 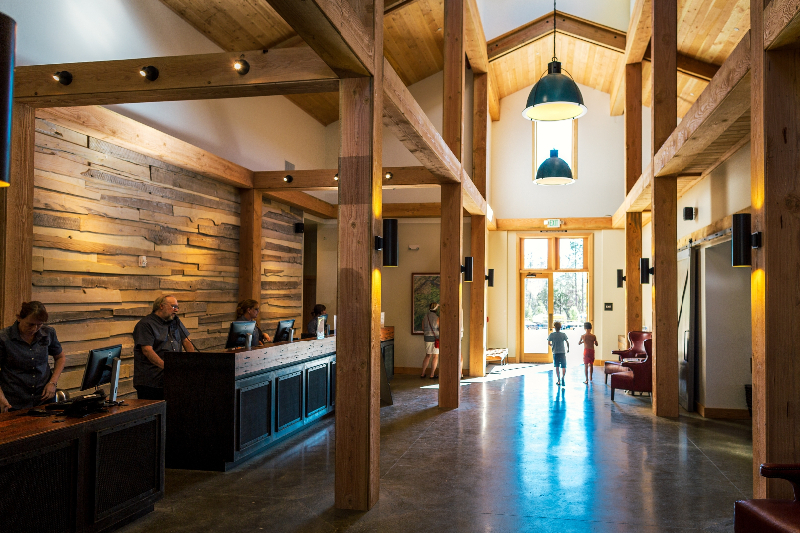 The practice encompasses a diversity of project types: office, retail, mixed use, academic, health care, historic restoration, parking structure, community center, school, warehousing, shops, church, custom residential, and urban design. 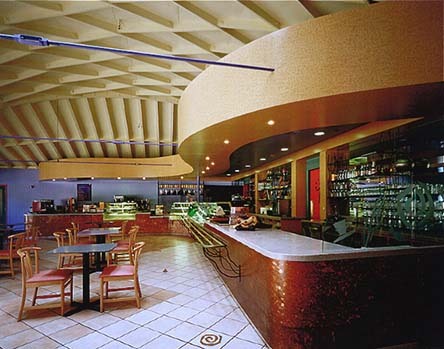 Within the field of architecture, planning and interior design, and the building types identified above, Hoshida & Reyes offers the following services: Architectural Design, Design Consultation, Programming, Master Planning, Strategic Planning, Facility Planning, Medical Planning, Space Planning, Facility Assessment, Existing Facility Inventory, Feasibility Analysis, Code Compliance Evaluation, Project Management, Value Engineering, Specification, Documentation Review, Construction Observation, Construction Documents, Contract Administration, Design Build. 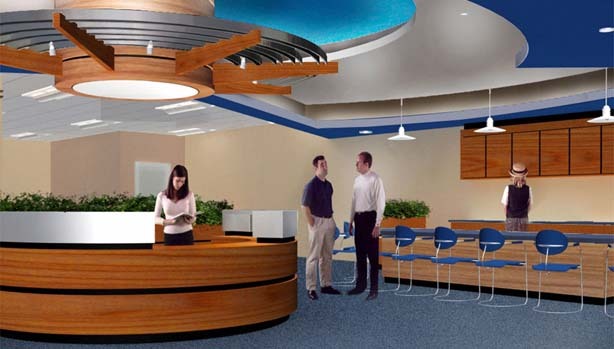 We employ appropriate engineering consultants for each particular project. In 2005, Hoshida & Reyes has expanded its geographic area to include design work in the Philippines/Asian Pacific Region. Mr. Allan Hoshida has been in private practice for over 36 years working on numerous building design project types which include: Historic Restoration and Rehabilitation, Hospital and Medical Offices, Medical Research Laboratories, Universities and Schools, Community Centers, Churches, Office Buildings, Multi-level Parking Structures, Recreation/Golf Course Buildings, Retail Shopping Centers, Hotels, Restaurants/Retail, Television Studios, Custom Residential. 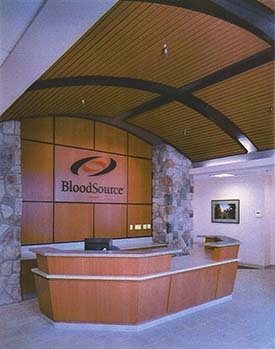 Since co-founding his design firm in 1989, Hoshida & Reyes has had commissions for such clients as: Folsom Urgent Care, Sacramento Laser Vision, AT&T/Northern California and Nevada Division, Procter & Gamble, County of Sacramento, State of California Department of Motor Vehicles, 13th & T/State of California Air Resources Board Laboratories, University of California Davis Medical Center, Boys & Girls Clubs of Greater Sacramento Inc., University of California Davis Campus, Sacramento Housing and Redevelopment Agency/Alkali Flat Neighborhood Center, Sacramento Regional Waste Treatment Plant, SMF Blood Center & Satellite Clinics and a number of Church/community groups and private development teams. Mr. Hoshida has been the principal in charge/project architect for the Cherry Island Golf Course Buildings for Sacramento County, Jose P. Rizal Community Center for Sacramento County Southgate Parks and Recreation Department, KVIE Channel 6 Public Television Studios, Ft. Sutter Medical Office Complex, Alhambra Plaza an historic rehabilitation of the Libby’s Cannery, California Almond Growers Exchange/Del Monte Cannery and 33rd & C Street American Can Company Cannery Business Park, in Sacramento. Other Major projects include: 29th & K Street Pedestrian Bridge Connection to Sutter Hospital with medical offices and garage, Alhambra Medical Office Building and garage, the Alhambra Plaza Garage, General Sherman Office/Retail/Garage, Glassrock Medical Office and Garage, Camellia Inn & Suites Hotel/Conference Center at UC Davis Medical Center, BloodSource Laboratory and Satellite Clinics, Buckhorn Grille Restaurants, Cordova Restaurant and Casino. 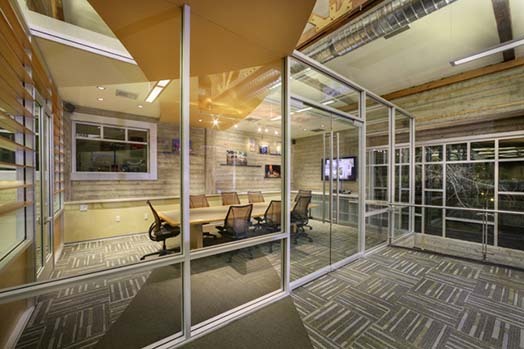 The firm’s primary focus is outstanding, sensitive architectural design with a high level of service to and collaboration with clients. 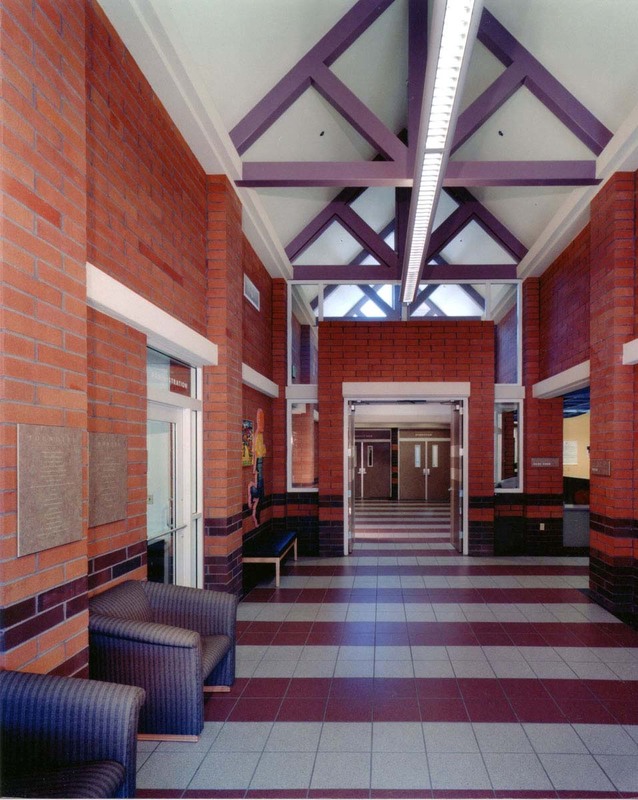 Indicative of the firm’s design capabilities, the General Sherman Office/Retail Building was awarded the 1992 Cammy Award for design excellence in Revitalization, the 1700 J Street Building received the 1994 Architectural Achievement Award for Commercial Rehabilitation by the Sacramento Old City Association, design/build award for the UC Davis Medical Center Hotel & Business Center in 1997, The Boys & Girls Club Raley’s Branch/Alkali Neighborhood Center received the 2000 Architectural Award by the Sacramento Old City Association, The Boys & Girls Club Teichert Branch recognized as one of three state-wide projects by the Associated General Contractors 2004 Service to Community Award, California Construction Best of Awards 2004 for Non Profit Work and Tilt-Up Concrete National Achievement Award 2004, BloodSource Chico Golden Rose Award awarded by City of Chico as best project of year for 2004. 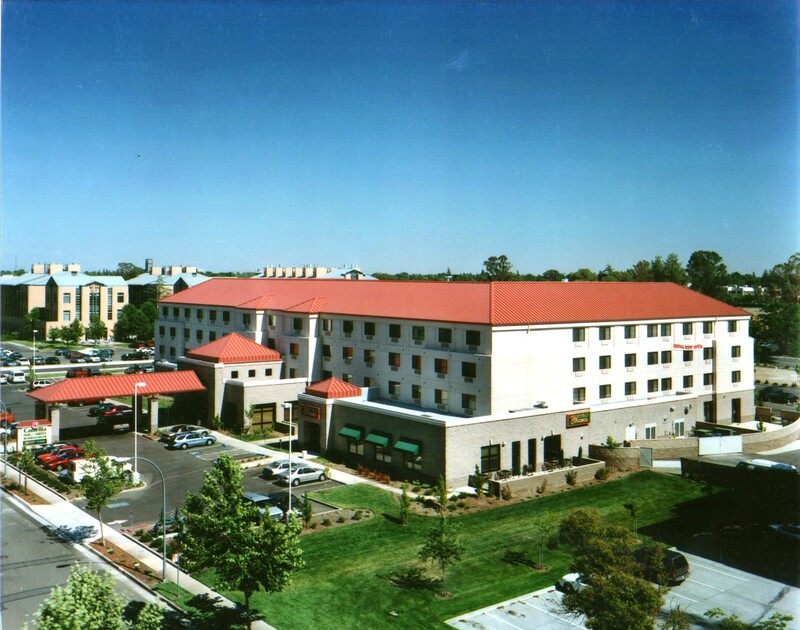 Also, Hoshida & Reyes was awarded the 1997 Business of the Year by the Sacramento Asian Chamber of Commerce. 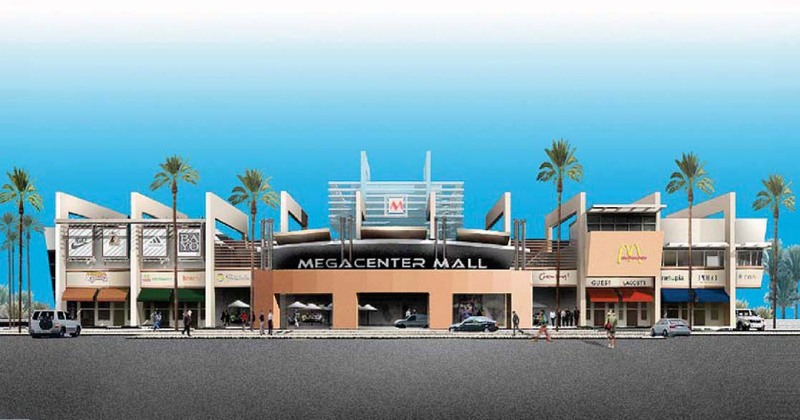 Mr. Rizalito Reyes, co-founder and principal architect in charge of design for Hoshida & Reyes, has had extensive experience, nearly 40 years of architectural design/site planning/interior design, both in the Philippines and in the United States of America. All of the projects in this brochure is the result of his sensitive approach in analyzing the program, criteria, owner/client’s desires and wishes and coming up with a direction for the conceptual design of a building, interiors or site. 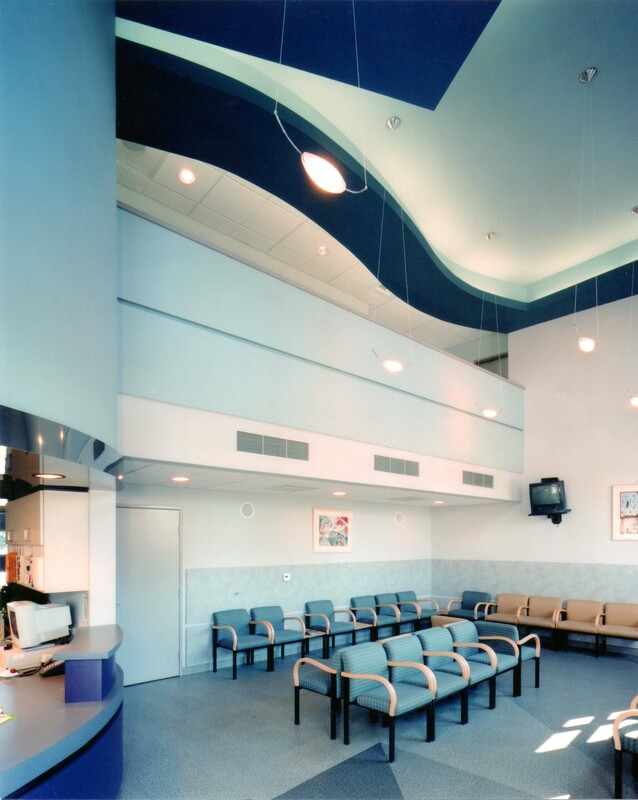 Since 1988, Mr. Reyes has also been an architectural design consultant to the Architects & Engineers at the University of California Davis Medical Center in Sacramento, California. 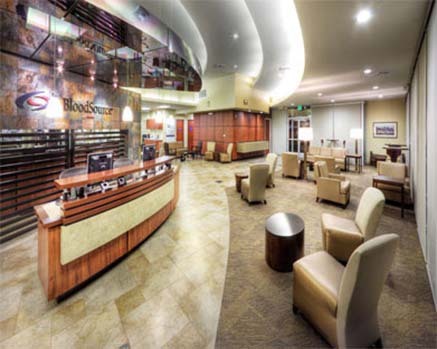 He has helped in the design of a Psychiatric Hospital proposal, a medical office building, Facilities Support Services Building, a bus stop shelter, a Heliport on top of a multi-level parking structure, remodel of an existing building for conversion into the UC Davis Bookstore and the Lemon Grass Café/Med Center Conference Center, Primary Care Outpatient Clinic/Carmichael. 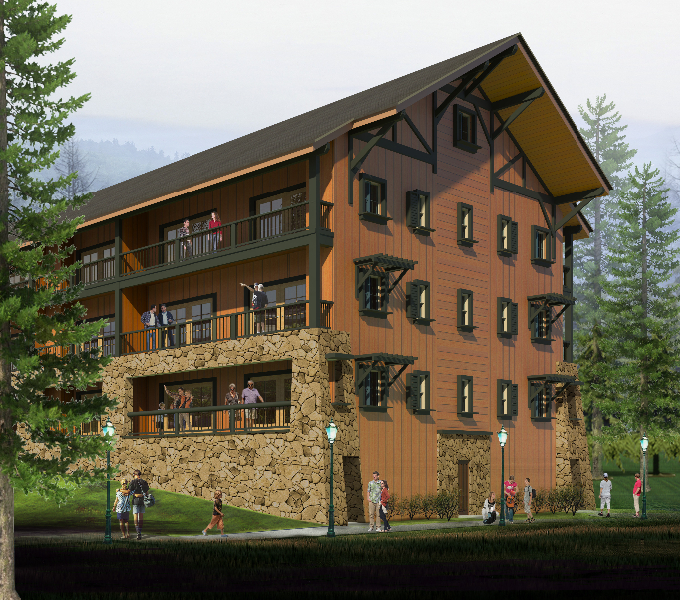 In addition, the $10.5 million Glassrock Medical Office Building, $2.7 million General Sherman Office/Retail Building and the $7.0 million Camellia Inn & Suites Hotel are specific build to suit projects for the University of California Davis Medical Center. 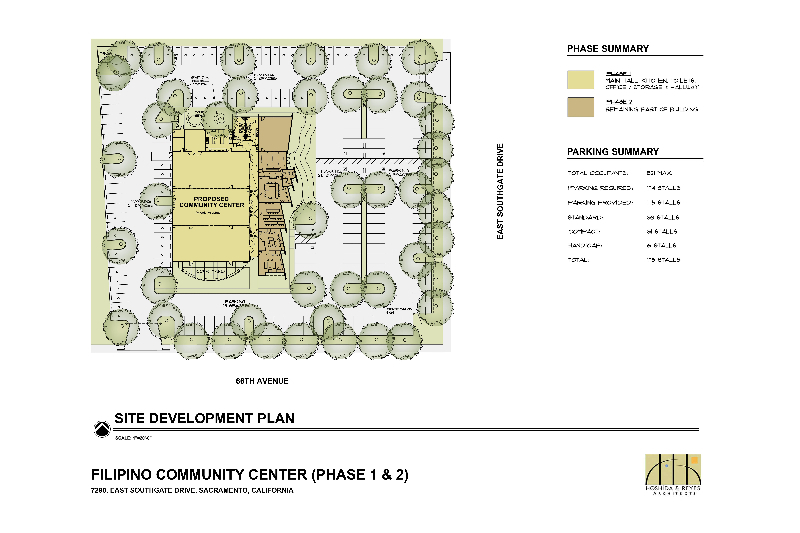 Currently Mr. Reyes is master planning $20 million Arcade Church Master Plan on 8 acre site, and master plan for $2.5 million 15,000 sf Filipino Community Center, both projects located in Sacramento area. 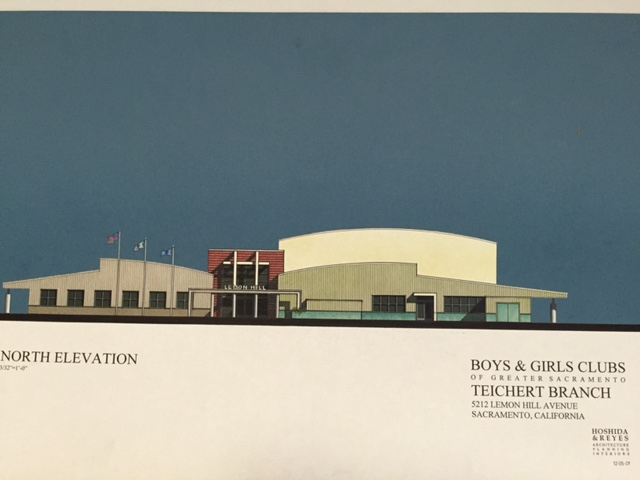 Boys & Girls Club of Greater Sacramento/Teichert Branch. 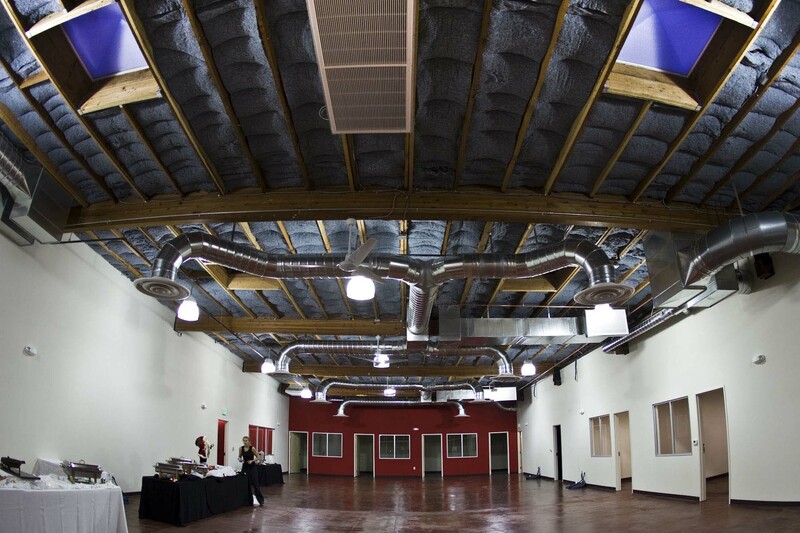 (California Construction Best of Awards for Non-Profit, Concrete Tilt-Up National Achievement Award). 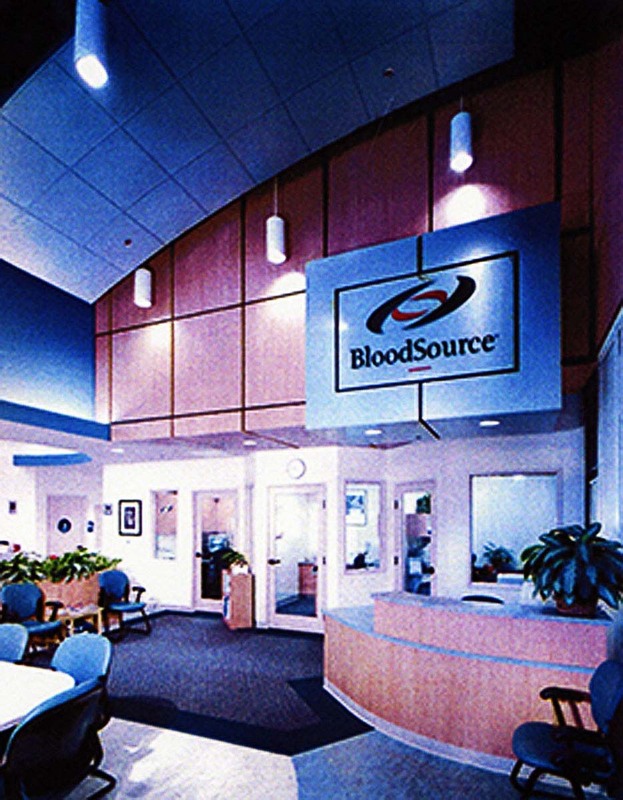 BloodSource Chico. (Golden Rose Award for Best Project of Year City of Chico). University of California Davis Neurosciences Medical Research Laboratory Building (Design Build competition award) new, 1-story 45,000 sf, 43 separate research laboratories for Neurology, Otolaryngology and Genetics Departments, central equipment and laboratory support rooms, control temperature rooms, 8 small animal research rooms in the School of Medicine, University of California, Davis, CA. General Sherman Office/Retail Building, Sacramento. 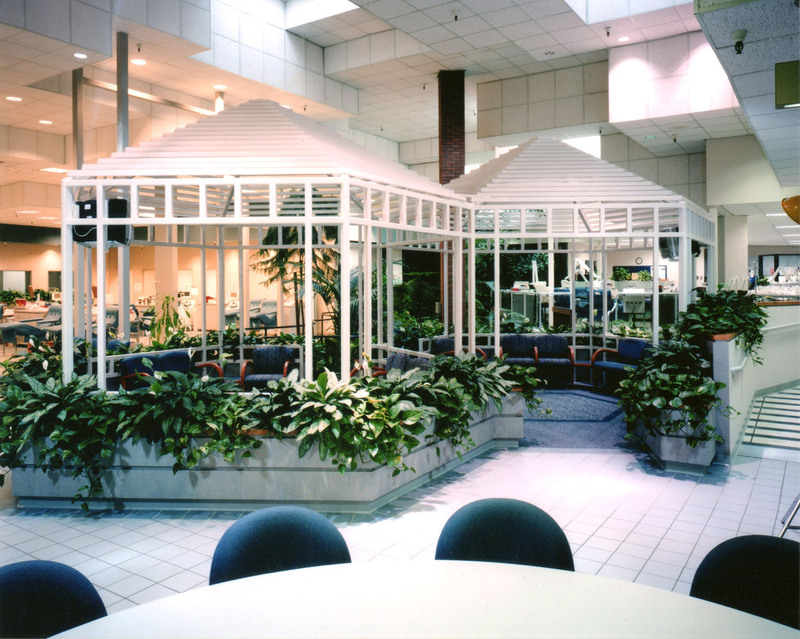 (1992 Cammy Award for Design Excellence in Revitalization). 1700 J Street Building/The Beat!, Sacramento. 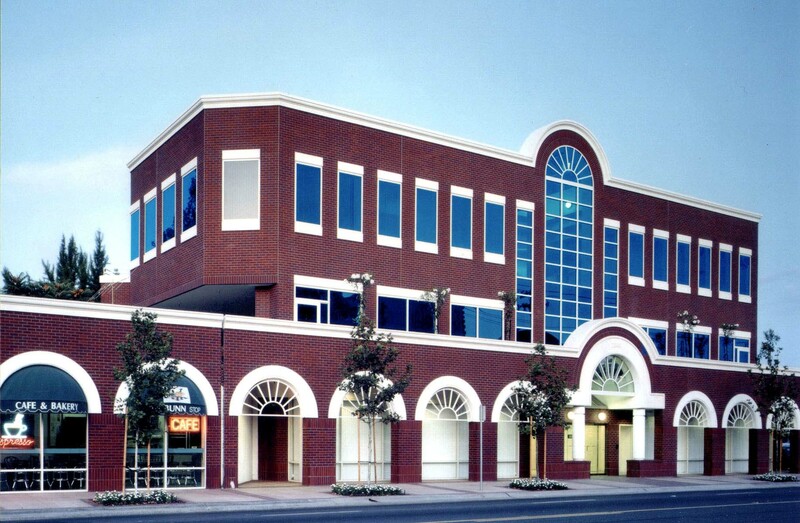 (1994 Architectural Achievement Award for Commercial Rehabilitation by the Sacramento Old City Association. California State University Chico Student Health Center, Chico, CA. (AIA Merit Award). 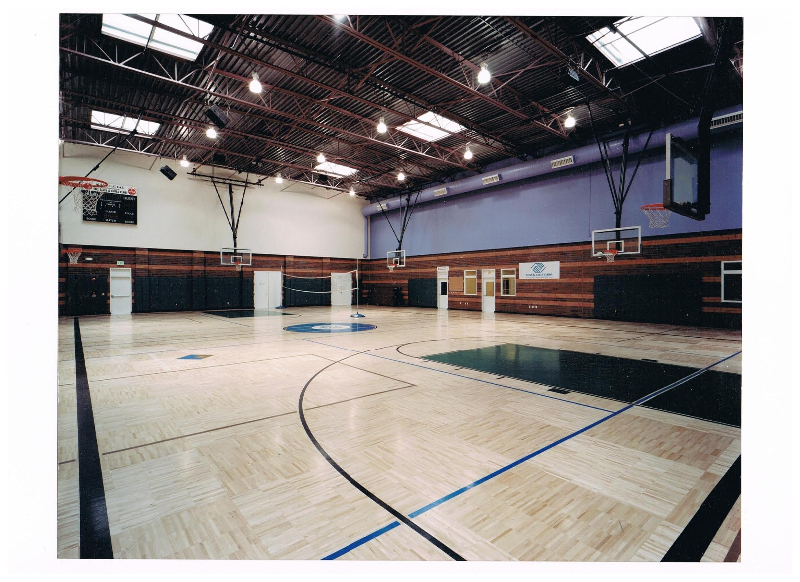 Sacramento Community Center (AIA Merit Award), worked in collaboration with design consultant Pietro Belluschi. McClellan Air Force Base Commissary and Base Exchange, Sacramento. (United States Air Force National First Honor Award). 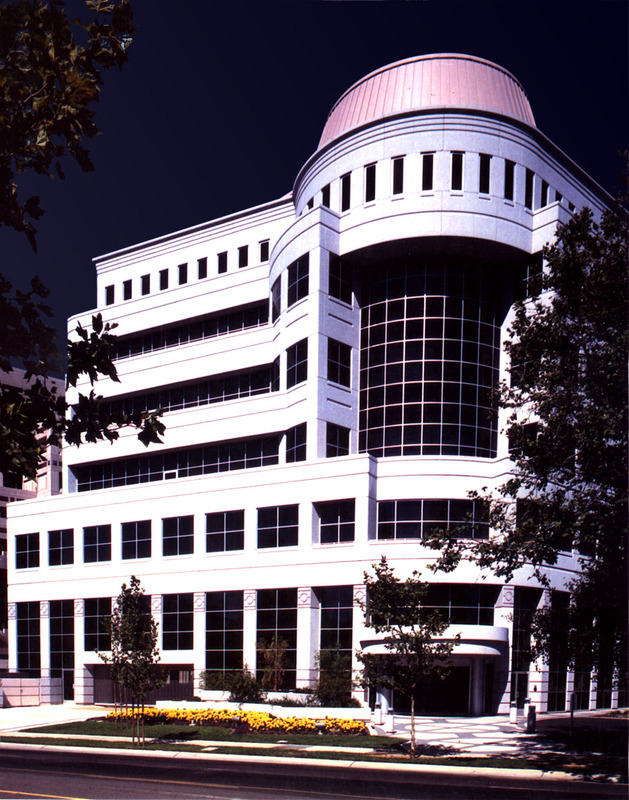 Setzer Office Building, Sacramento. 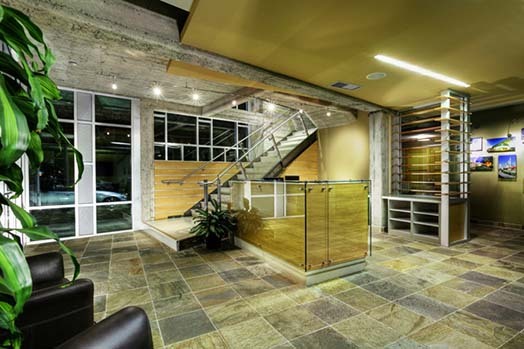 (Ceramic Tile Institute Commercial Project of the Year). National Association of Mapua Alumni, Inc.
Foundation of Outstanding Mapuan, Inc.
BloodSource/Mather, Rancho Cordova. 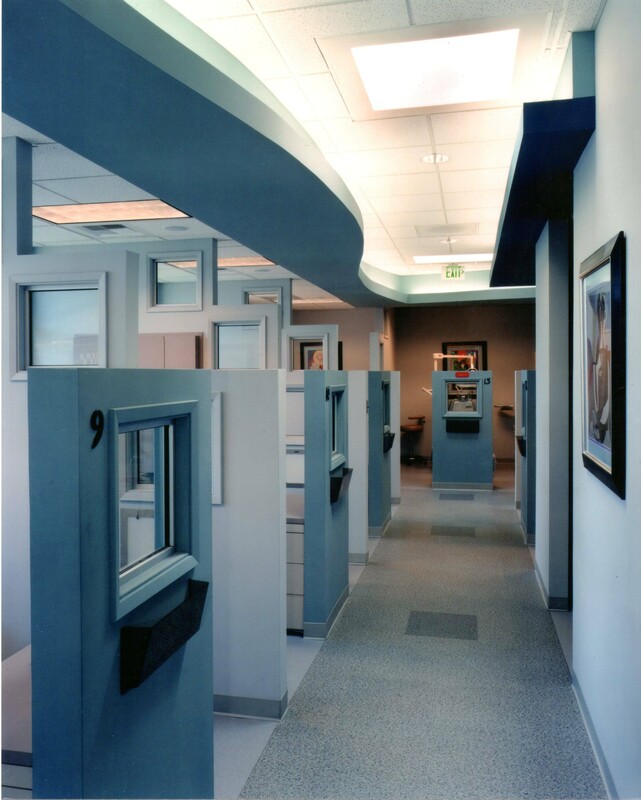 Over-all Master Planning for long term interior remodel Phases for long term improvements. 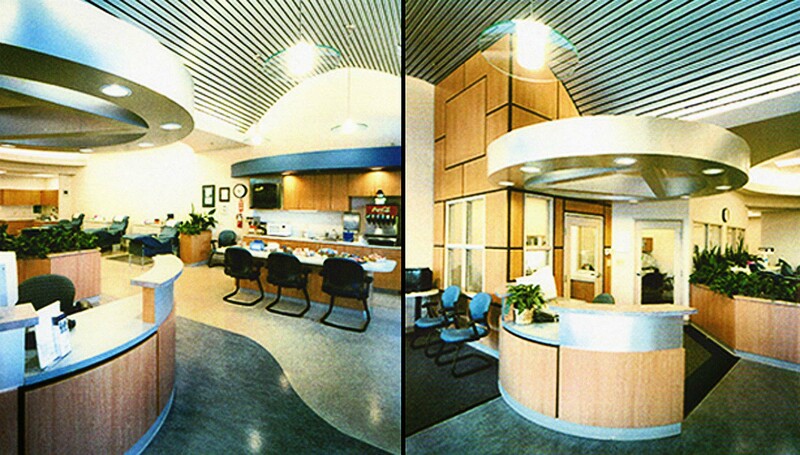 In addition, Midtown and Sierra Oaks remodel projects converted existing buildings to satellite draw centers. 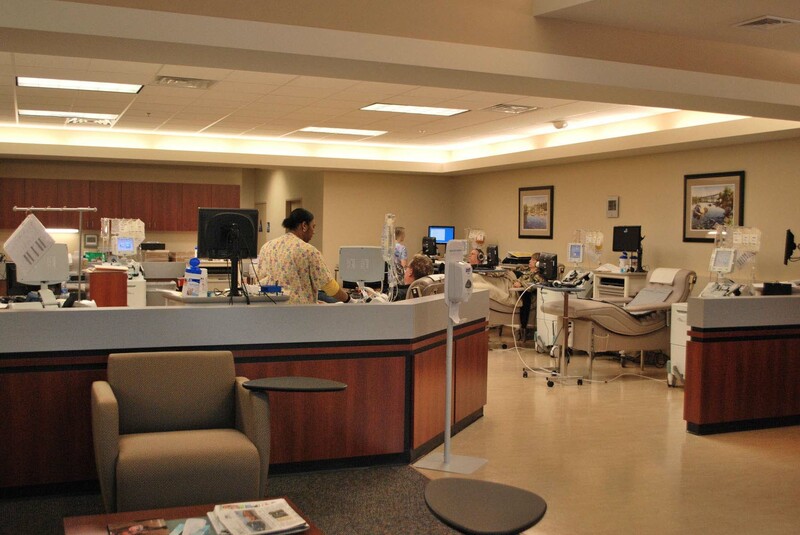 Midtown is center for plasma and platelets. 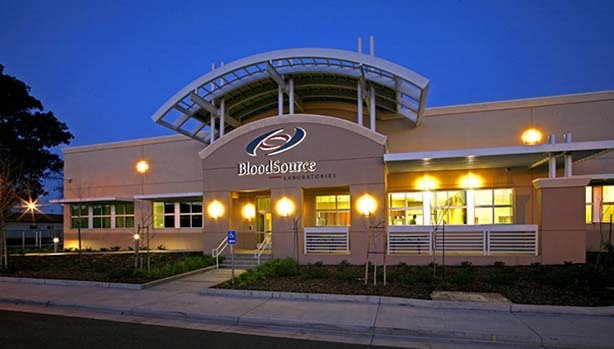 Other sites completed for BloodSource: Chico, Auburn, Sunrise/Fair Oaks, Yuba/Sutter, Merced, Laguna, Roseville, Davis, Folsom, Reed Ave Warehouse, Placerville, Mather Office HQ, Laboratory Building, Turlock, Santa Rosa, Stockton. 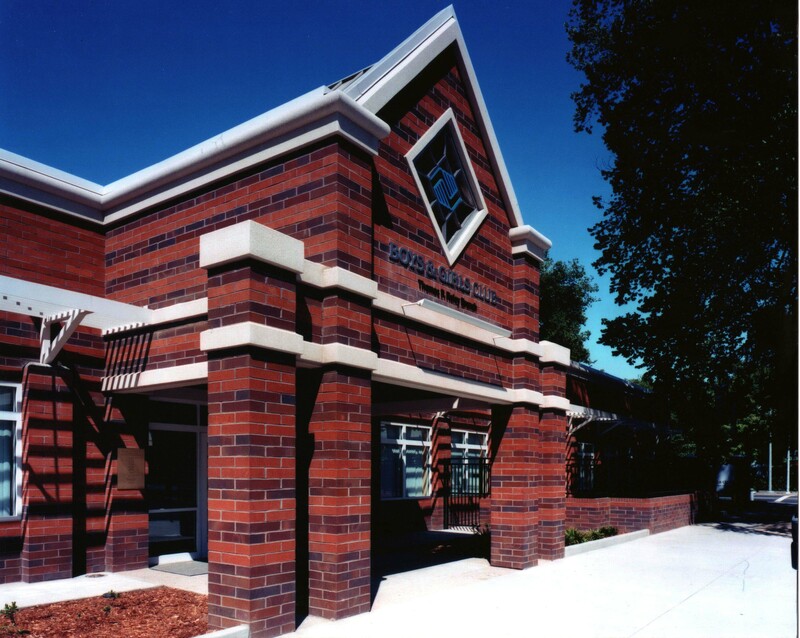 Chico received the Golden Rose award from City of Chico as best project of year for 2004. 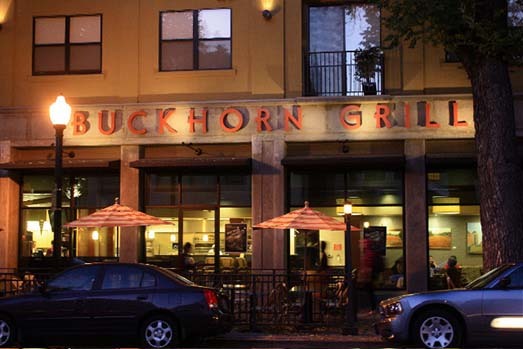 Buckhorn Grille, 1801 L Street. 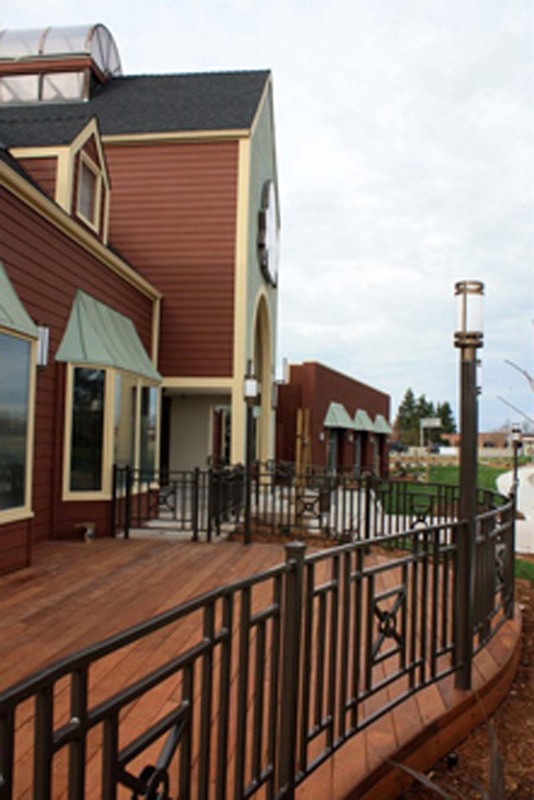 New Tenant improvement for indoor and outdoor dining seating for 100. 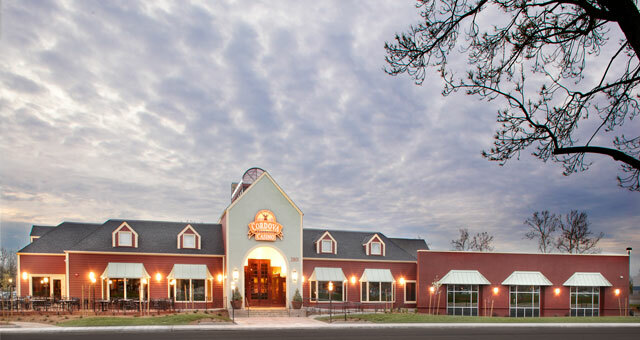 Also completed Buckhorn Grill at San Francisco Center and Buckhorn Grill at Roseville Galleria. 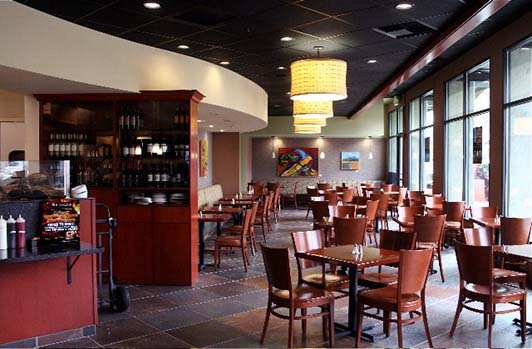 Chang Shou Restaurant Expansion and Remodel, Cache Creek Casino Resort, Brooks, CA. 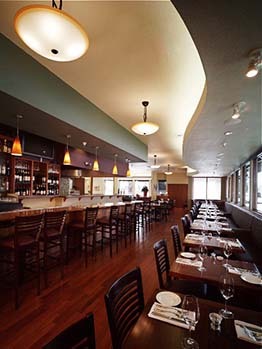 Interior and exterior expansion of the existing Dining Room to accommodate more restaurant seating. 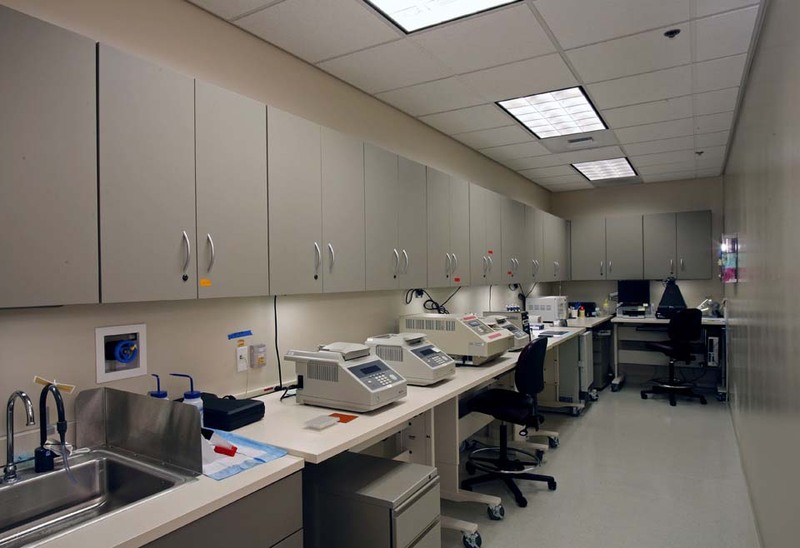 In addition, recently completed Slot Repair, Inventory Control Remodel projects. Currently in design for Gift Shop Remodel project. La Bou Café/2248 Stockton Blvd. 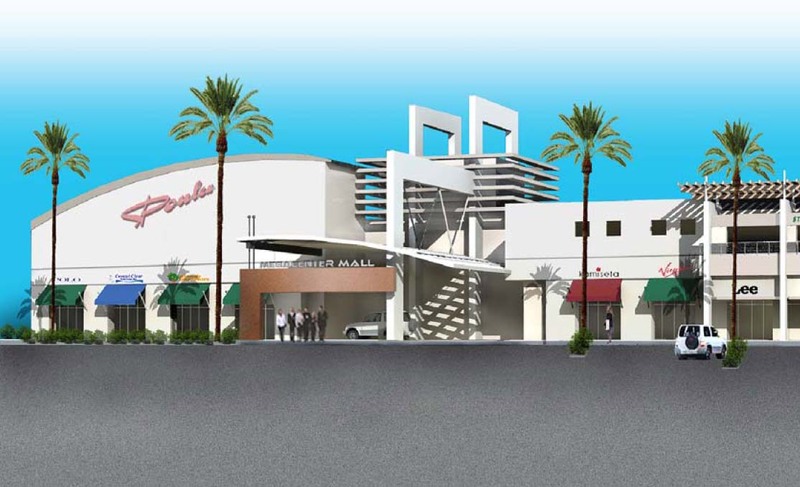 Remodel of existing grocery store for new 100 seat café, 3 meeting conference rooms, out-door seating and on-site parking. Owner: Trong Nguyen. UC Davis Bookstore/2270 Stockton Blvd. 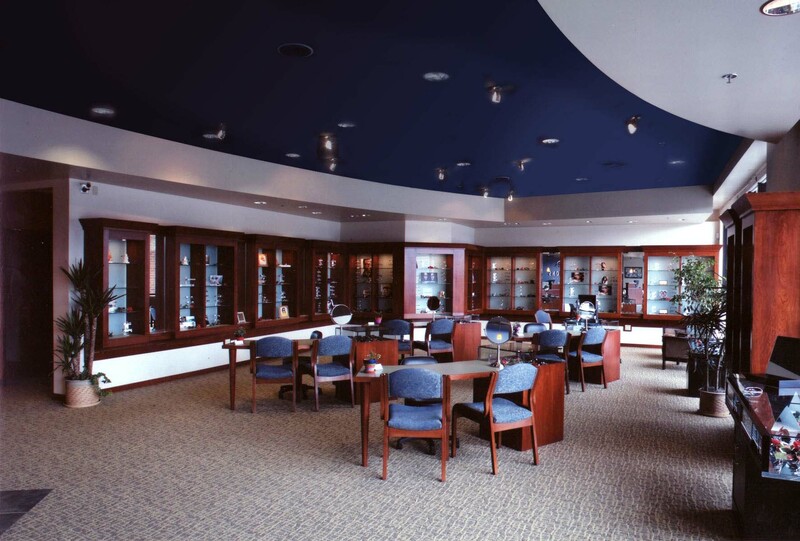 Remodel of and addition to existing Showcase office building into a general reference bookstore for UCD Medical Center. 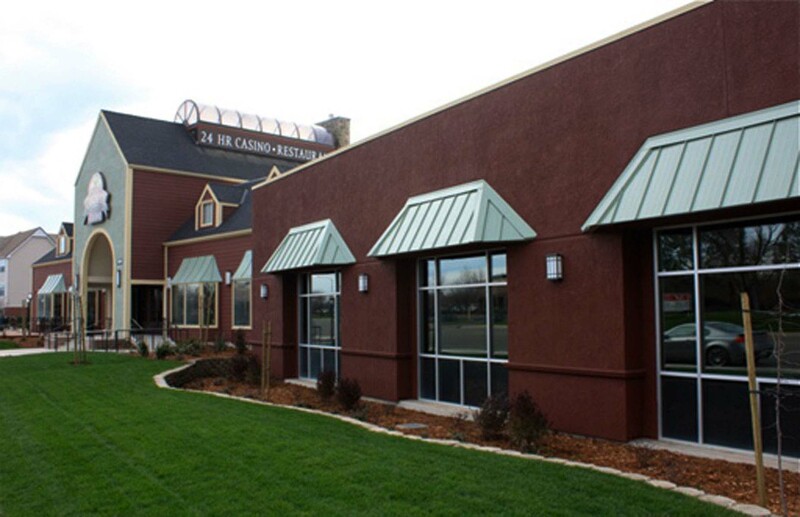 General Sherman Retail/Office Building with surface and underground parking/2300 Stockton Blvd. 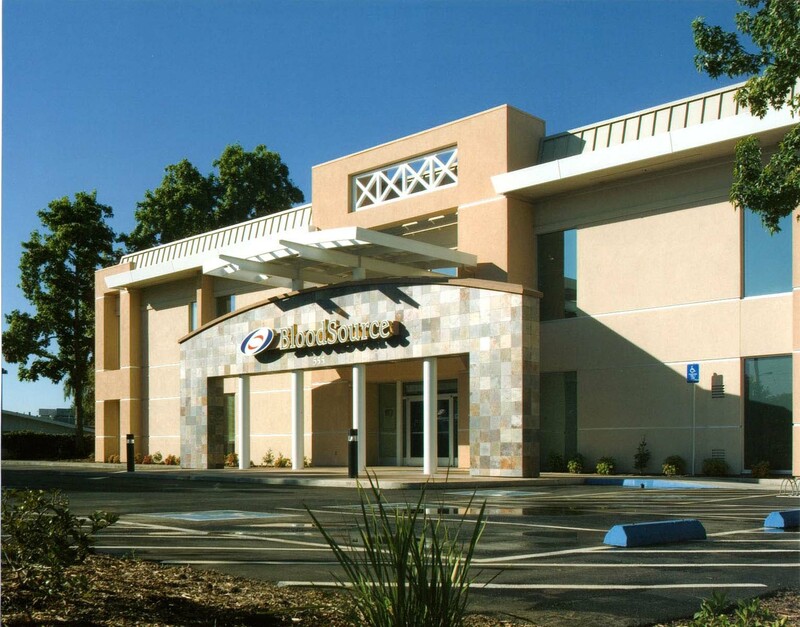 New 3-story building with 27,000 sf offices, retail along street frontage and underground parking for UC Davis Medical Center staff and visitors. Cammy Award for Revitalization. 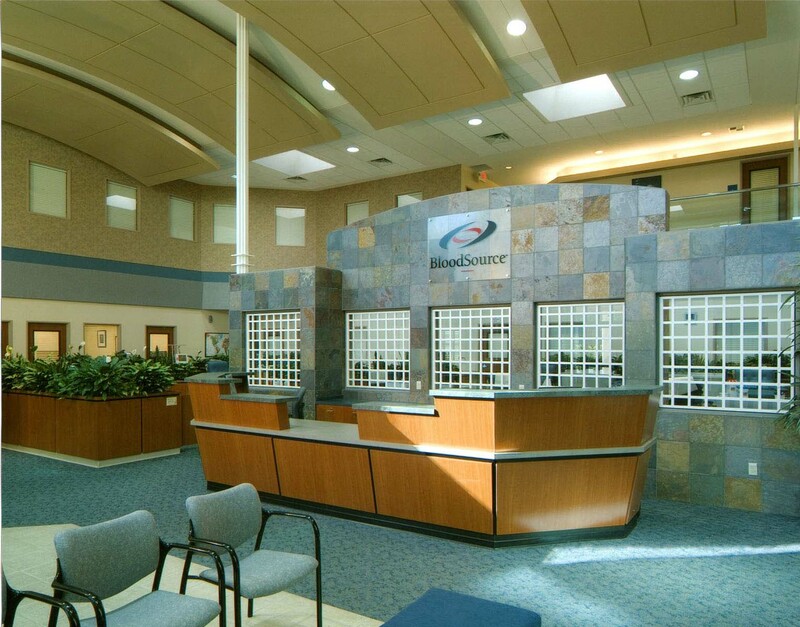 Glassrock Medical Office Building/2521 Stockton Blvd. new 7-story medical office building, with 2 levels of underground parking, build to suit, for the University of California Davis Medical Center departments of Pediatrics, Pediatric Infusion, Dental, ENT/Otolaryngology, Heart Center, Child Protection Center, and a Conference Center/faculty offices on seventh floor. Developer: Glassrock Partnership. 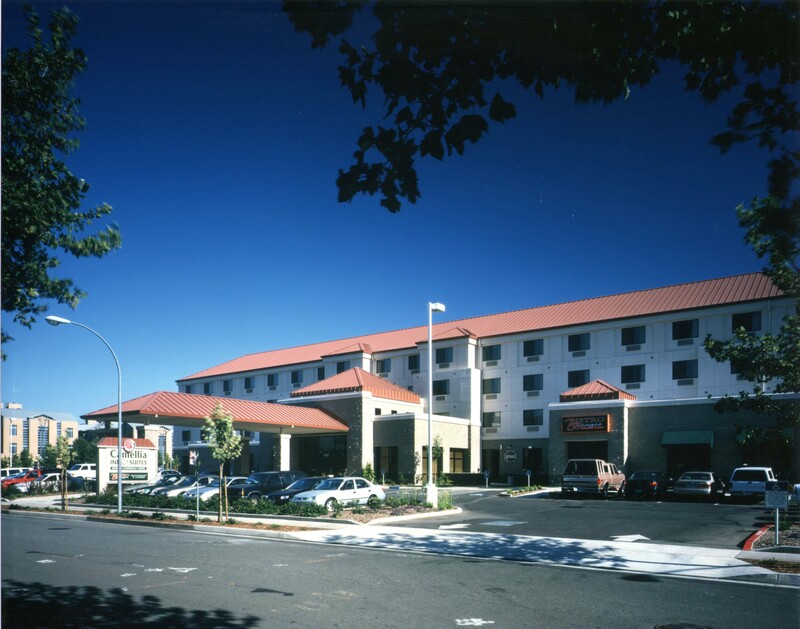 Camellia Inn & Suites Hotel for UCD Medical Center (now called Courtyard by Marriott). 4-story, 100,000 sf building, 139 room hotel with 100 seat restaurant, UCD Faculty Club, and 5 separate meeting rooms on First Floor. 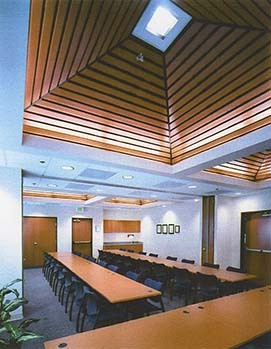 Design/Build Award by UC Davis. Developer: The Rim Corporation. UC Davis Medical Center Helistop on top of existing Parking Garage Structure. Temporary helistop, structural support, elevator lift facility, access for hospital staff while the main hospital high-rise building and remodel was under construction. UC Davis Medical Center various projects: Tower 8 Patient Services, Radiology Interim Project, Orthotics HVAC project, Bone Marrow Transplant Unit, etc. AT&T/Downtown 14th & J Street, various remodel/retrofit projects: 11th Floor 1B Power Weight Study, Survey Project, CPA/Raptors project, 8th Floor Power Room, etc. 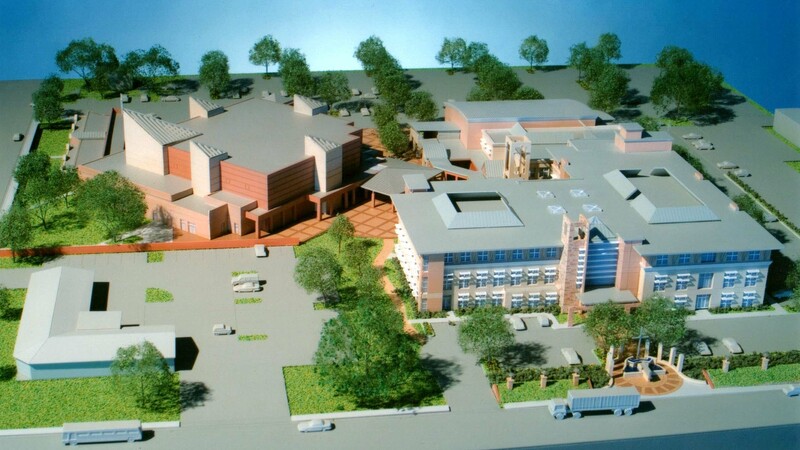 Bishop Manogue High School Master Plan/Remodel and New Chancery Building/Broadway and 21st Street. 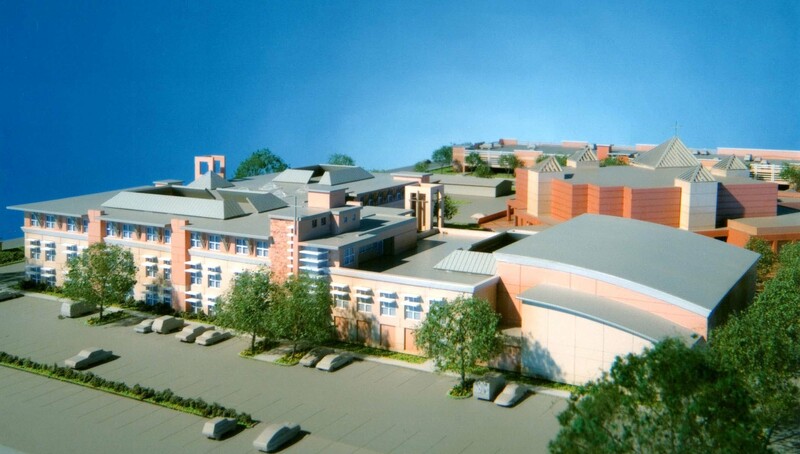 Over-all master plan for re-use of the former Bishop Manogue High School site. 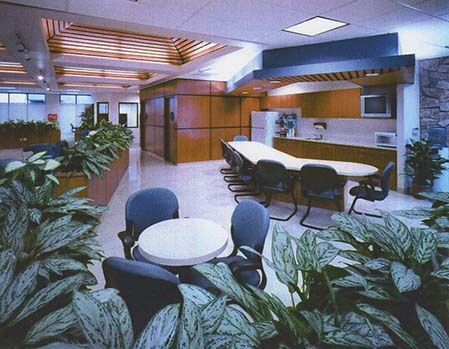 Remodel for State of California DMV tenant space. 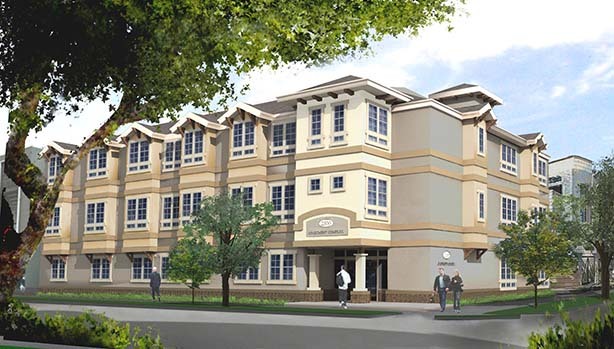 New 2-story building for Bishop of Roman Catholic Diocese of Sacramento and administrative staff. 13th & T State of California Air Resources Board Monitoring Labs/1927 13th Street. 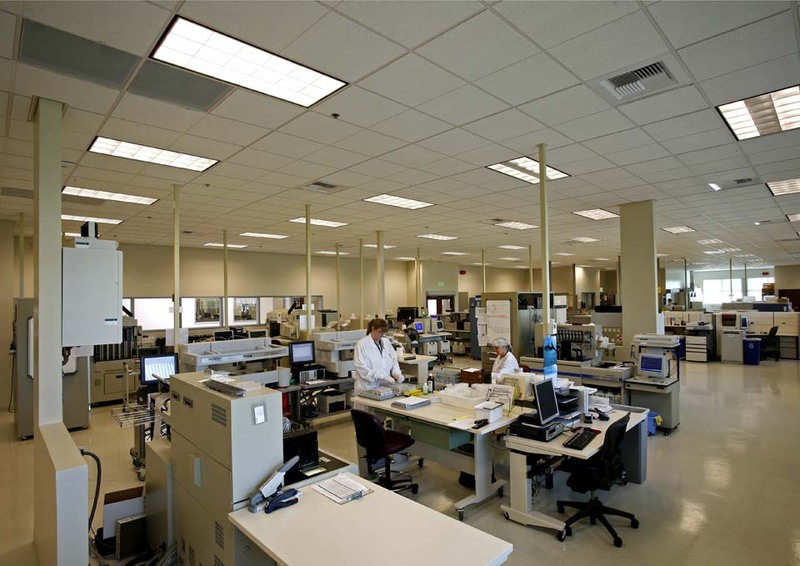 State wide facility for testing/monitoring labs and support staff for EPA and Air Resources Board. Most recently conducted ADA Handicap Accessibility Report and Assessment for Owner Representatives. 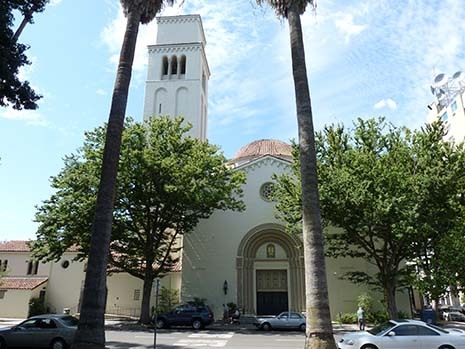 Catholic Diocese of Sacramento Manogue Building Remodel/1119 K Street. 2-story and Basement remodel, ADA elevator and stair access to all levels, Main Entrance Lobby and Second Floor tenant improvement for the California Catholic Conference, and Classroom for Sunday School Program. 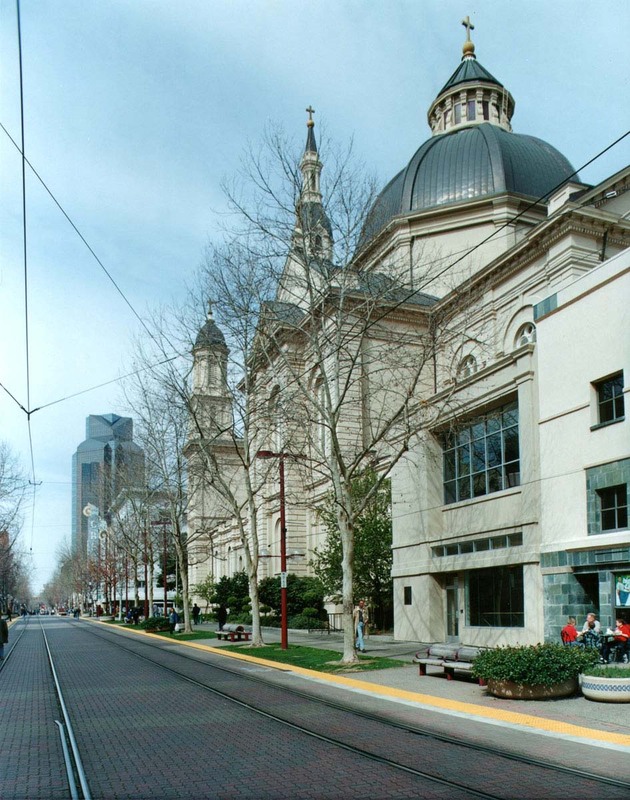 Assist with Cathedral of Blessed Sacramento Historic Remodel Project for exiting thru Manogue Building. The Beat! Remodel/17th and J Street. Remodel/conversion of existing 10,000sf hardware building into Old and Re-used Records retail outlet. 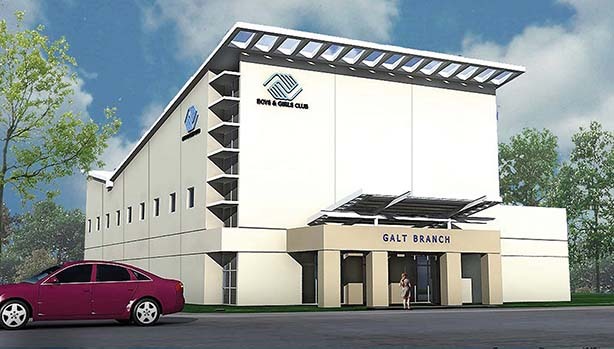 Boys and Girls Club of Greater Sacramento/Raley’s Branch and Alkali Flat Neighborhood Center/1117 G Street. New 17,000sf community center building and site improvements with following spaces: Gymnasium, Community Meeting Room, Kitchen, Central Games Activity Area, Arts & Crafts, Library, Computer Learning Center, 6-7-8 Age Group, Teen Room, Administrative Offices. Sacramento Old City Design Award. 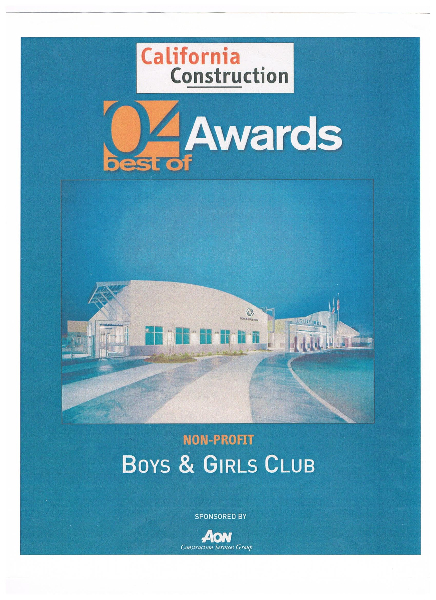 Boys and Girls Club of Greater Sacramento/Teichert Branch, Lemon Hill area. New 32,000 sf building on 4 acre site with soccer field, vegetable garden. Community center with following spaces: Gymnasium, Community Meeting Room, Kitchen, Central Games Activity Area, Arts & Crafts, Library, Computer Learning Center, 6-7-8 Age Group, Teen Room, Martial Arts Exercise Room, Administrative Offices. California Construction Best of Awards 2004 for Non-Profit, Tilt-Up Concrete National Achievement Award 2005 for creative use of concrete tilt-up. 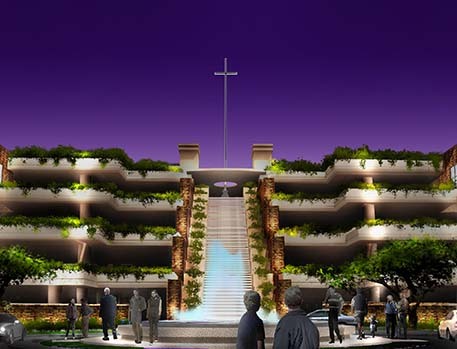 Arcade Church Master Plan/Marconi Avenue. 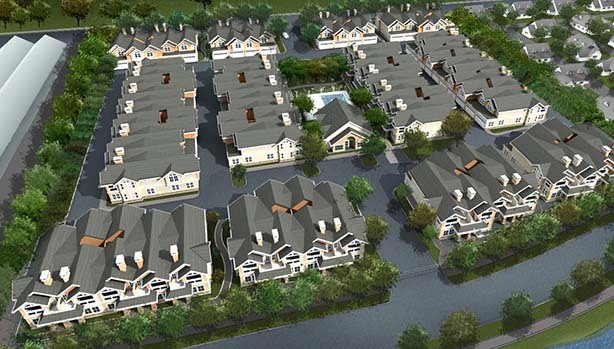 Site Master Plan, Conceptual Architectural Package approved for Sacramento County Conditional Use Permit. Phase One Landscaping has been completed. First Romanian Apostolic Church/Fell Street. 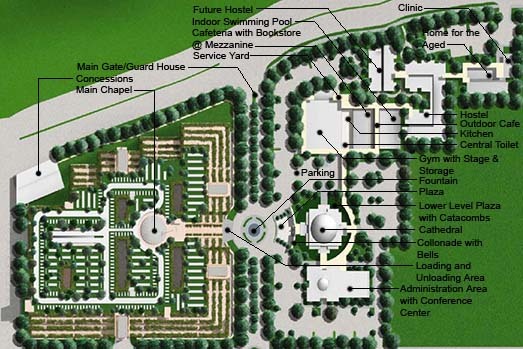 Site Master Plan and New Sanctuary, Classrooms, Social Hall Buildings, site parking. 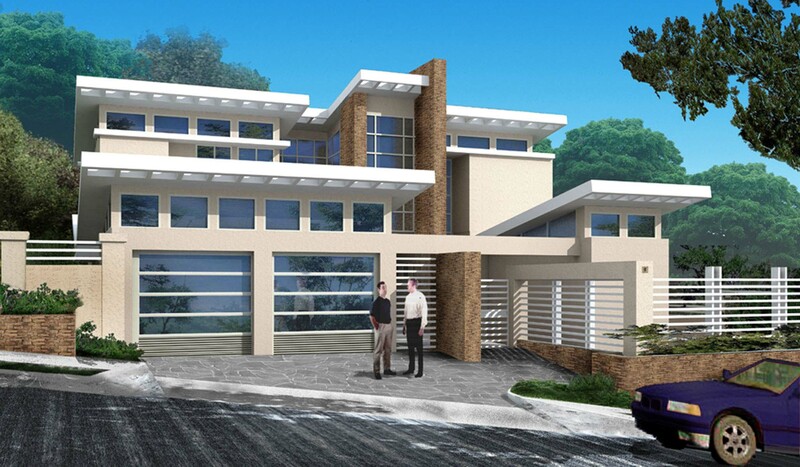 Buildings/site fully developed over 16 years design and construction process. 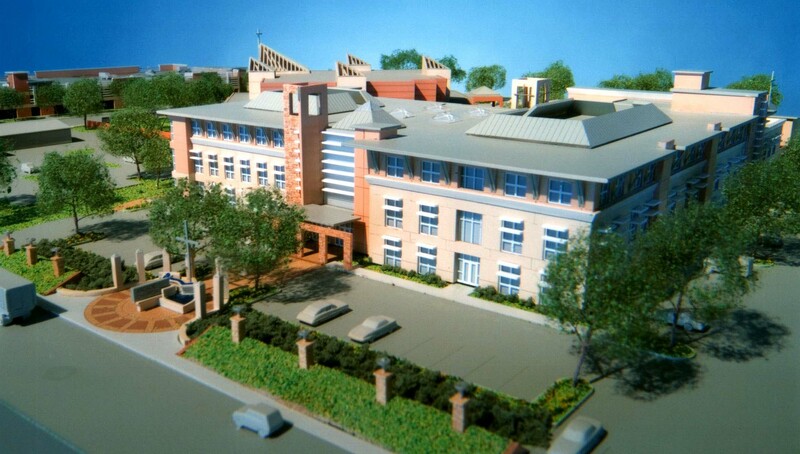 Next phase is Multi-Purpose Building Expansion project currently in design. 3300 Broadway Retail and Residence Remodel. 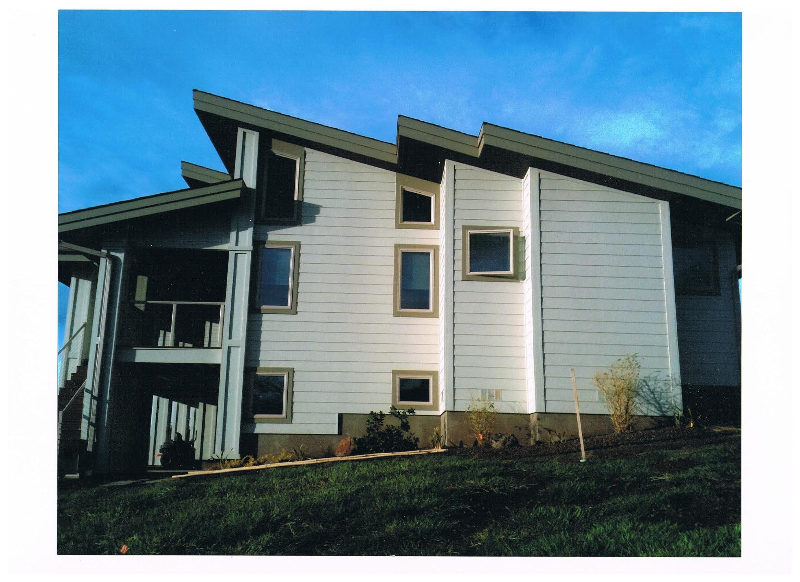 Remodel of existing 3 unit apartments on Second Floor over Ground Floor Retail Use. Westminster Presbyterian Church/1300 N Street. Site/Building Master Plan Assessment for long term improvements to an historic registered church building located across the street from Capitol Park. 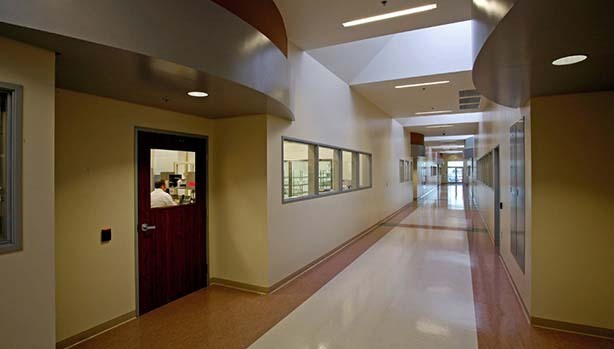 Kitchen Remodel, Second Floor Classroom Remodel, ADA Handicap Accessible Ramp projects have been completed to date. Next projects: Patio Room, Small Kitchen remodel. Fat City and California Fats ADA handicap accessibility assessment for toilets, lifts, entry ways, etc. for the Frank Fats family. Also Frank Fats Restaurant Exterior Façade Improvements. 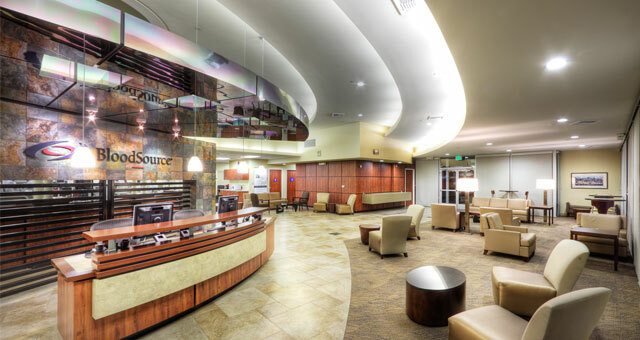 Alliant International University/Sacramento. Second Floor of KVIE TV Studios. 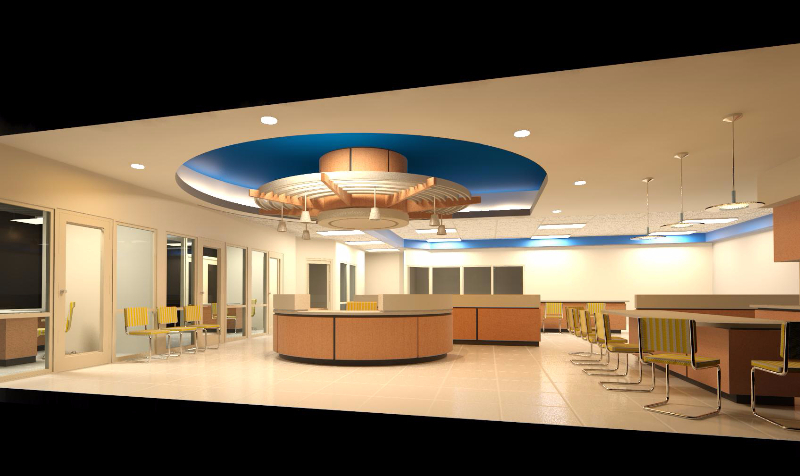 Remodel for Classrooms, Staff and Faculty Offices, Computer Room, Library. 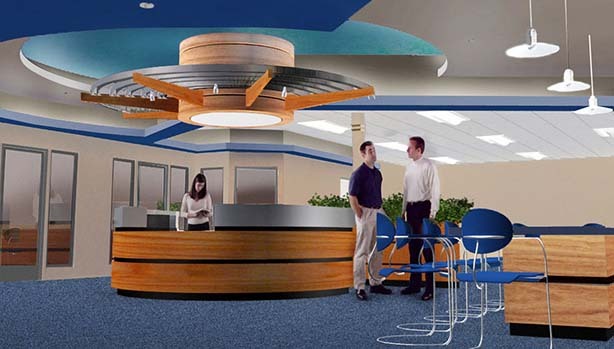 Currently Alliant Fresno Campus Remodel project under construction. 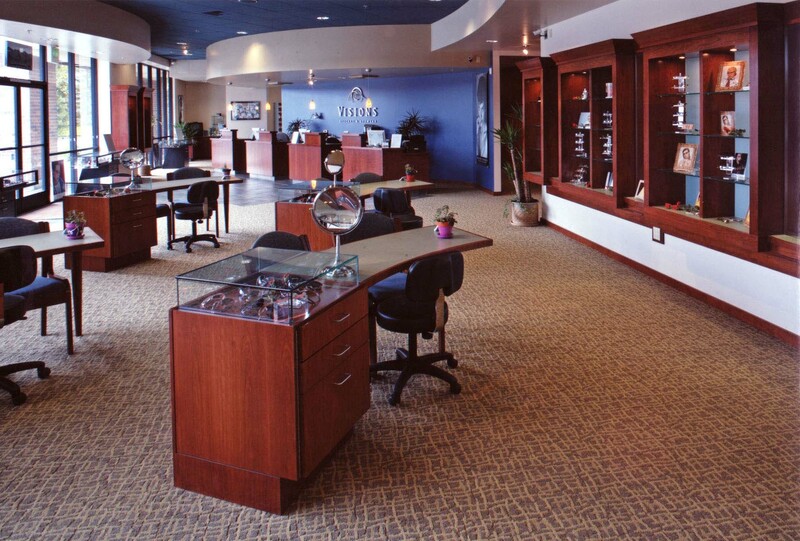 Owner: Alliant International University. 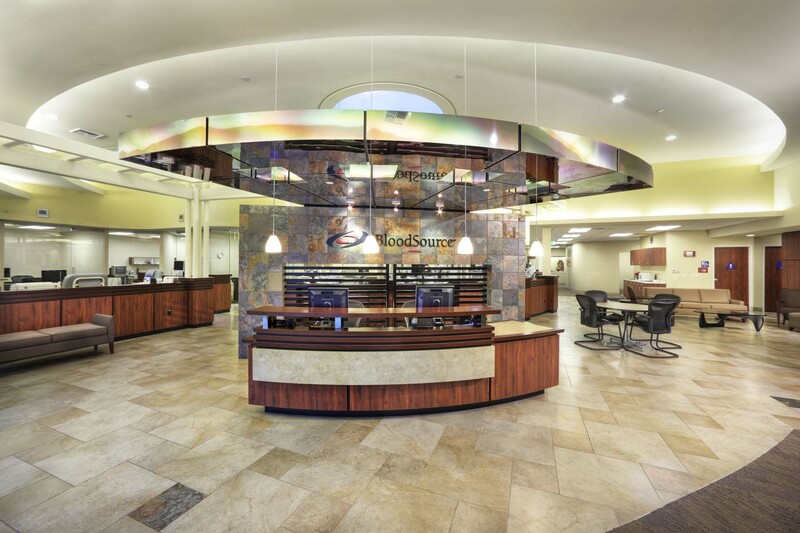 Carmichael Oaks Senior Living/Carmichael. 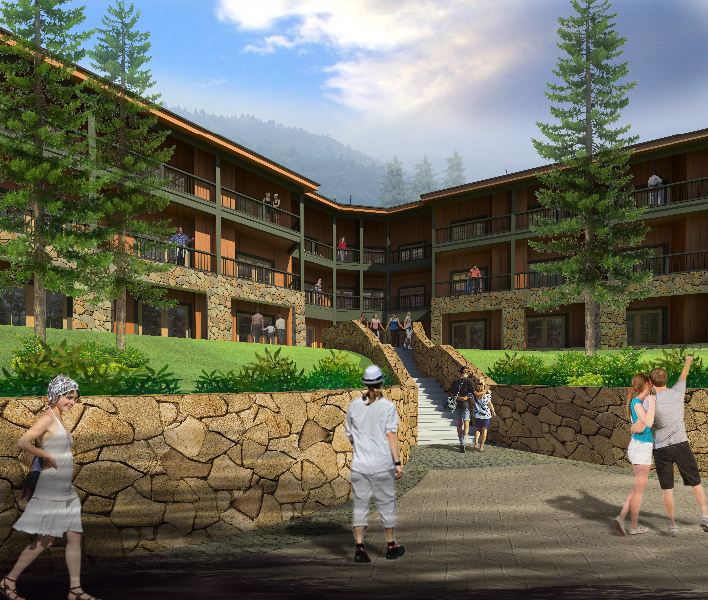 Assist owners in developing the Basement level support spaces for senior housing complex. 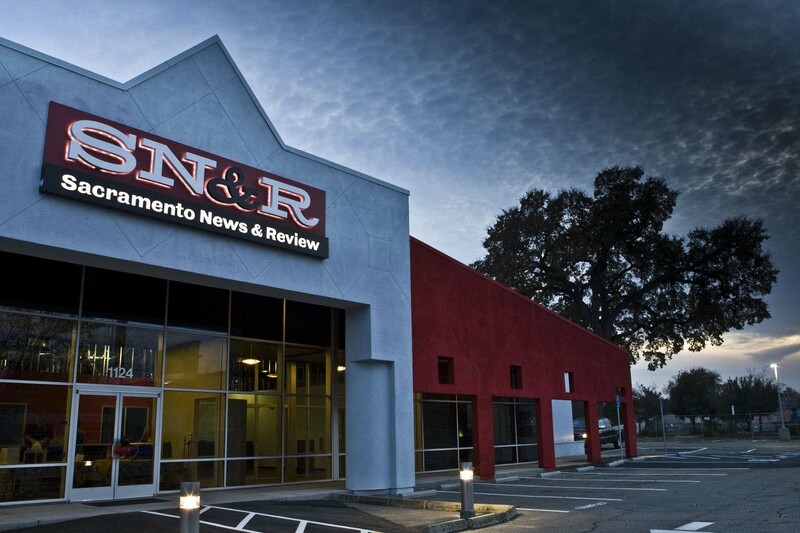 Sacramento News & Review/Del Paso Blvd. 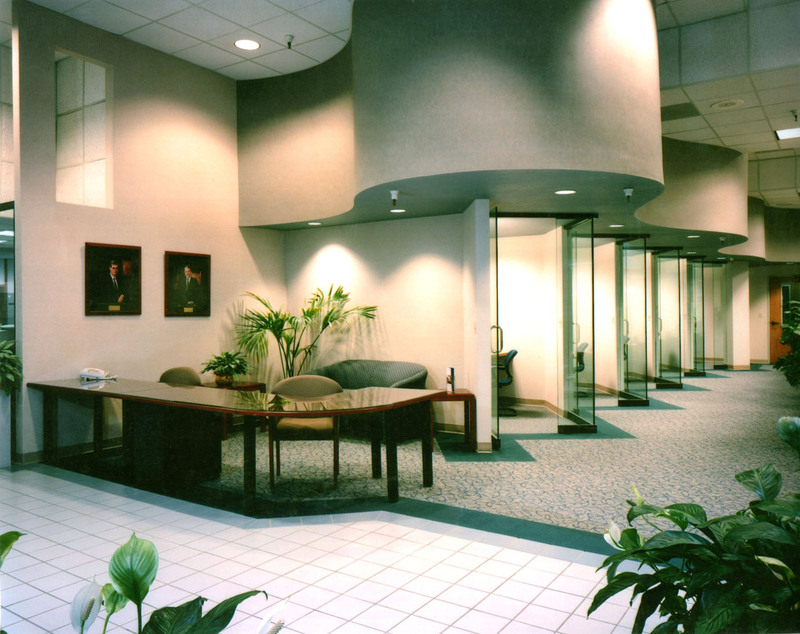 Exterior and interior remodel conversion to corporate and staff offices for News & Review. 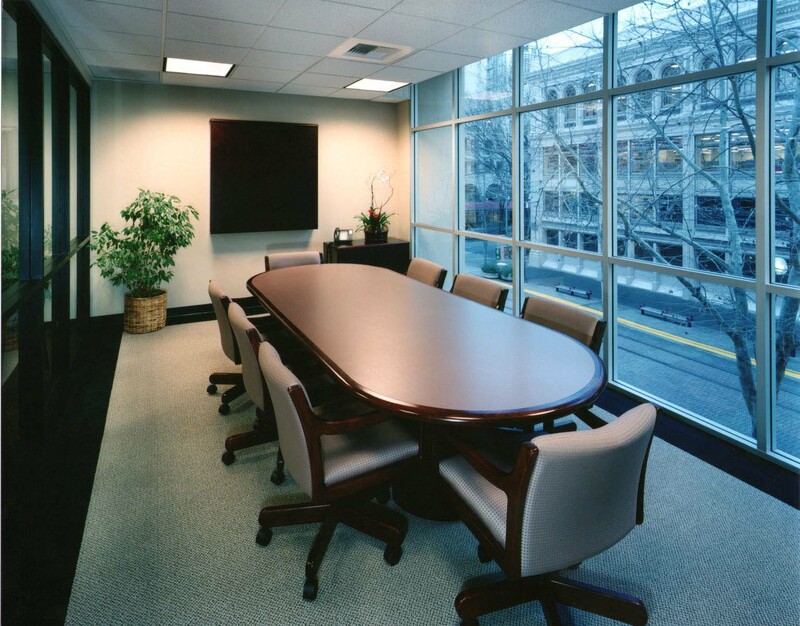 Conference Rooms, Private and Open Offices, Computer Center, Staff Break Room, Lease Space. 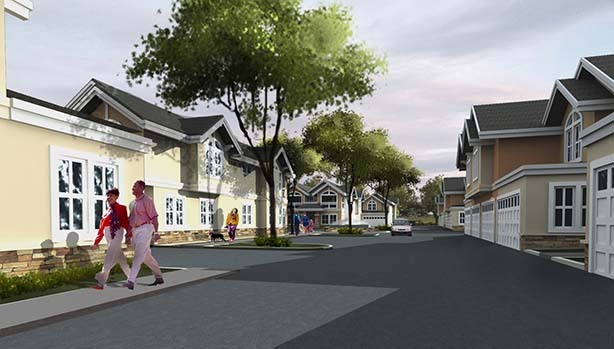 Work with SHRA to buy property and make site plan improvements. 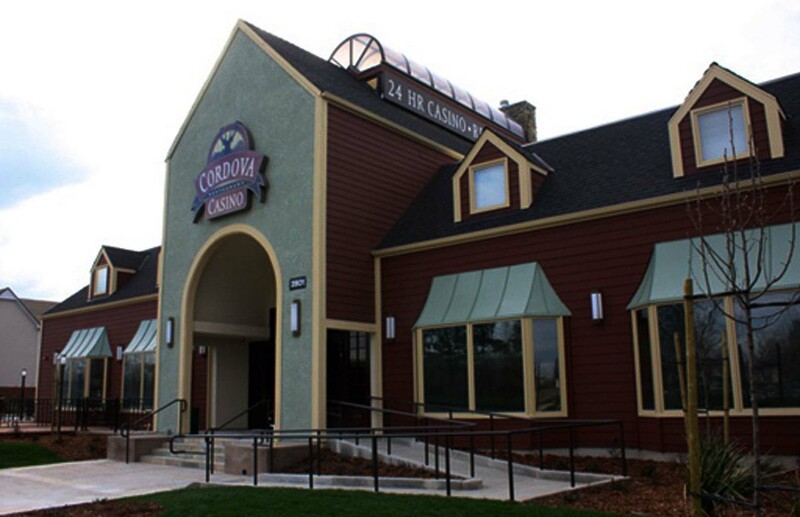 Cordova Restaurant and Casino/Rancho Cordova. 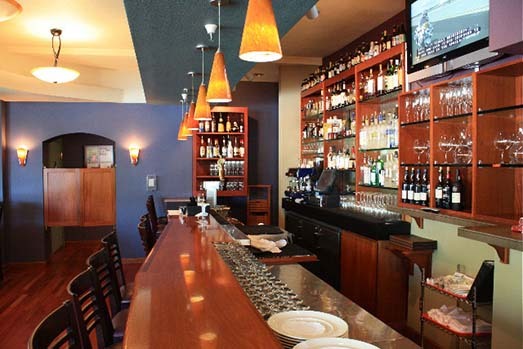 Remodel/conversion of existing 18,425sf building into restaurant, bar for 140 diners, kitchen, conference rooms, plus card room, cashier, offices. Additional remodel/upgrade projects for Fortiss: Cameo Club/Stockton, Casino 580/Livermore, Silver Fox/South Sacramento. 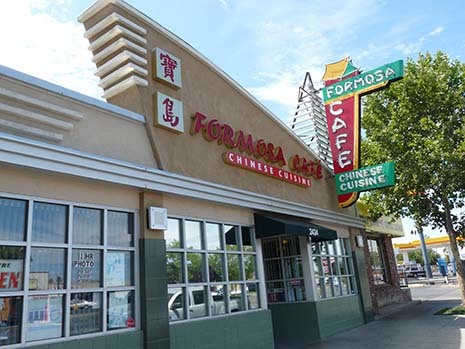 Sacramento Housing and Redevelopment Agency (SHRA) sample projects: Formosa Café/Del Paso Blvd., Sam’s Auto Repair/Watt Ave., Golden Rice Bowl, TST Auto, Asian Supermarket. Note: the intent of this program is to help/assist property owners within redevelopment zones in updating their facades/storefronts. Marilyn’s Bar/9th & K Street. Remodel of Basement of multi-story office building and conversion into bar and dance club with indoor and outdoor seating. 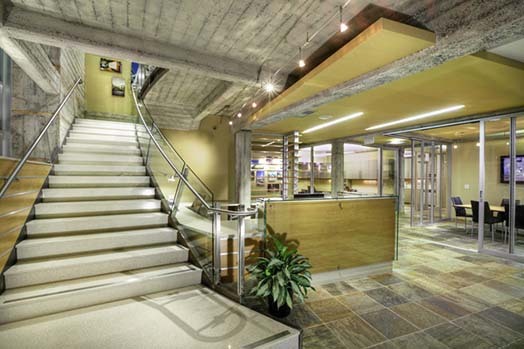 Sunseri Associates Office Remodel/1930 G Street. 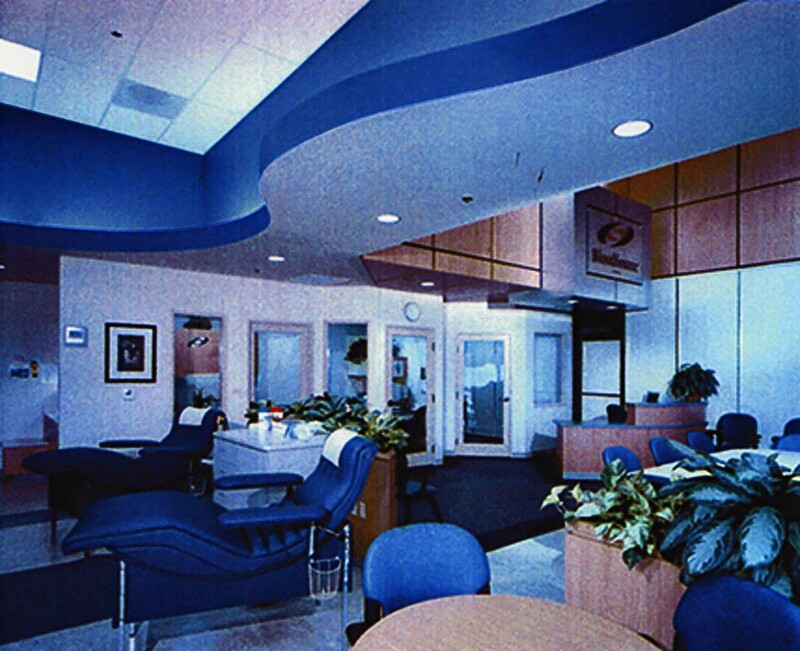 Conversion of existing 2-story building into corporate offices for general contracting firm in Sacramento. 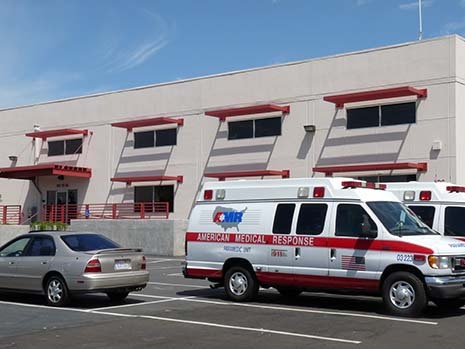 American Medical Response/1414 Fee Avenue. 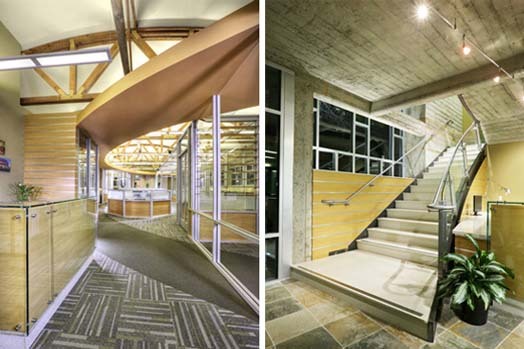 Remodel of existing warehouse building into corporate offices, conference center, centralized monitoring and indoor parking. Tie into adjacent building and parking lot to house AMR ambulances and staff. Developers: Glenn Sorensen, Scott Skreden. 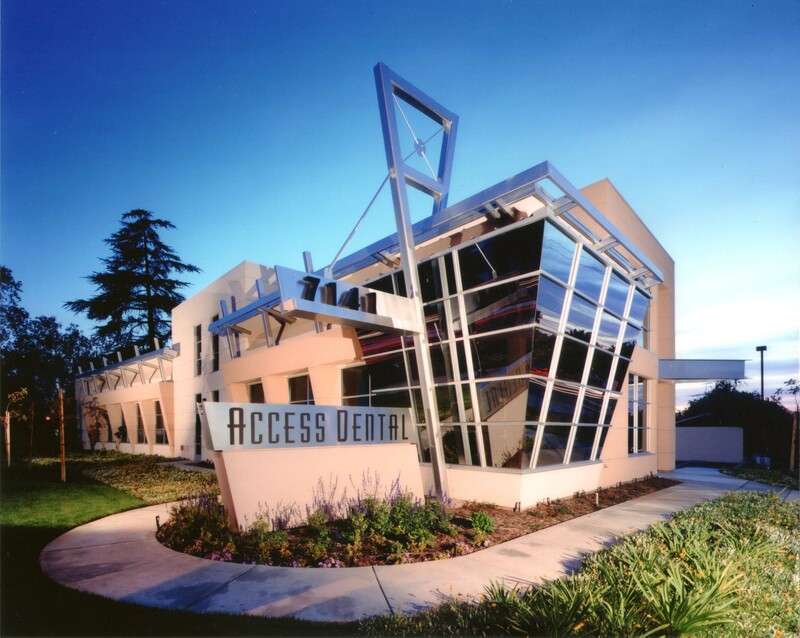 Access Dental. New site development and building. 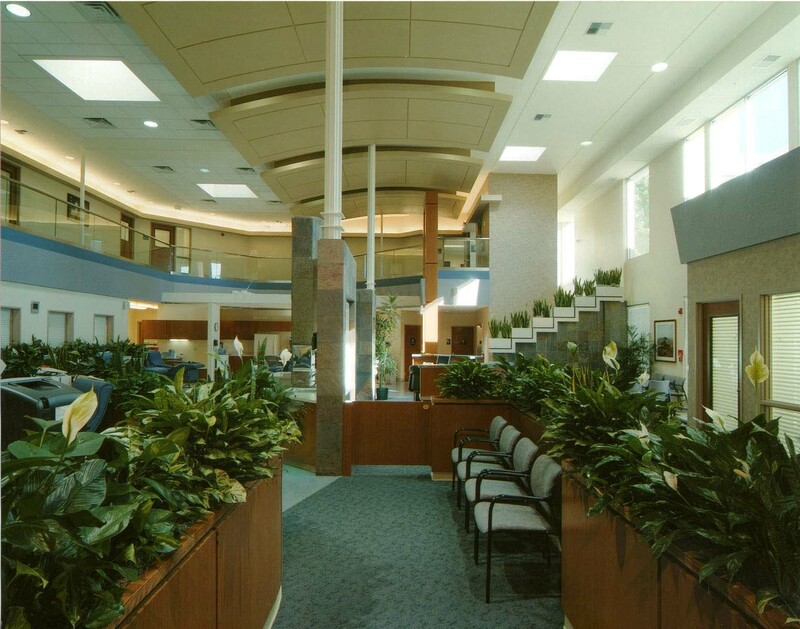 Offices, 2 separate Waiting Areas, Dental Operatories, Laboratory. 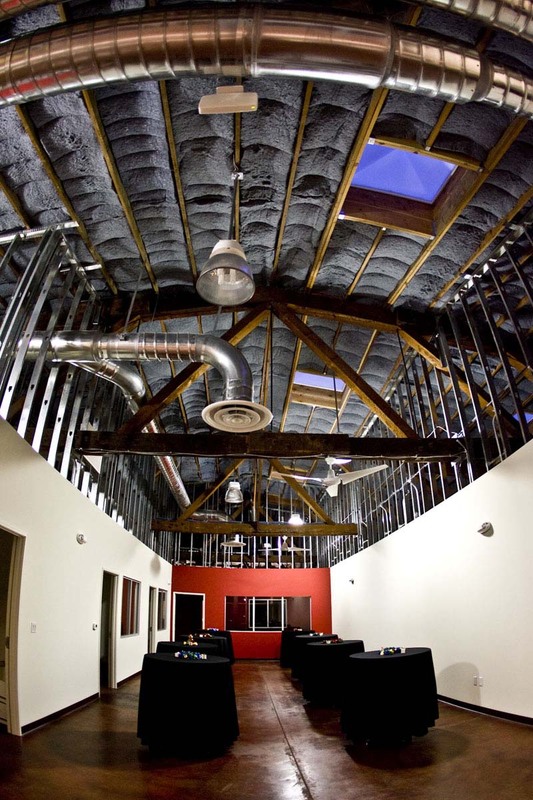 Libby’s Cannery Remodel for Peace Officers Standards Training/Testing. Part of historic Libby’s Cannery Development. Developer: Fulcrum Properties. 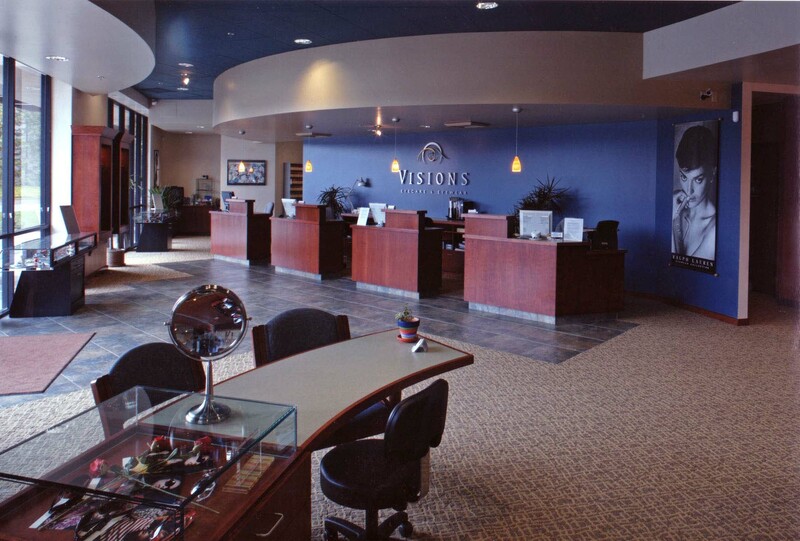 Visions Optometry Eye Care/Dr. Brendel. 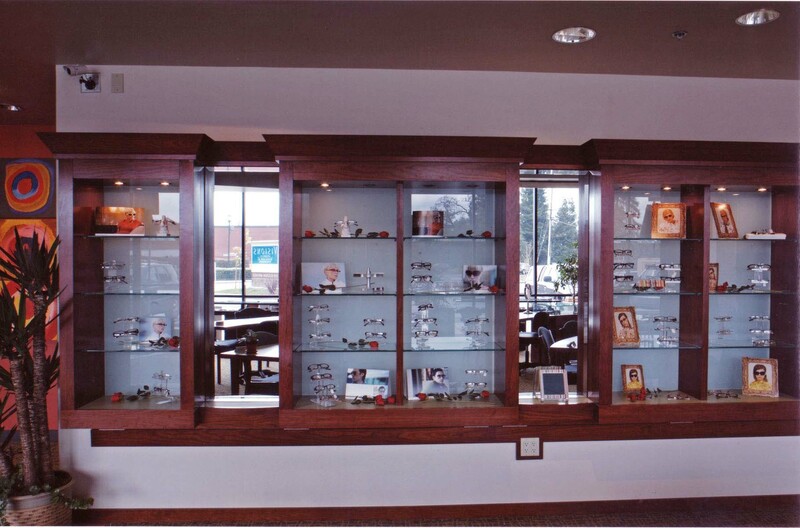 New custom tenant improvement for eye clinic exams and eye care displays. 23rd and I Street corner. 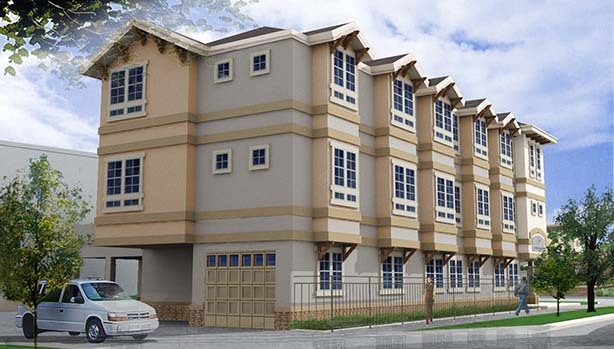 New 4-story apartment complex conceptual architectural master plan. 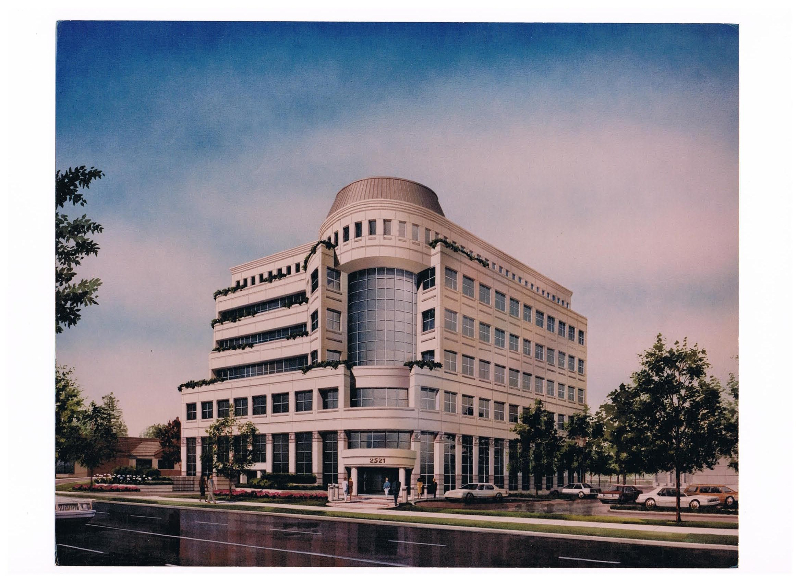 2014 Capitol Avenue Office Building Façade and Core Improvements. 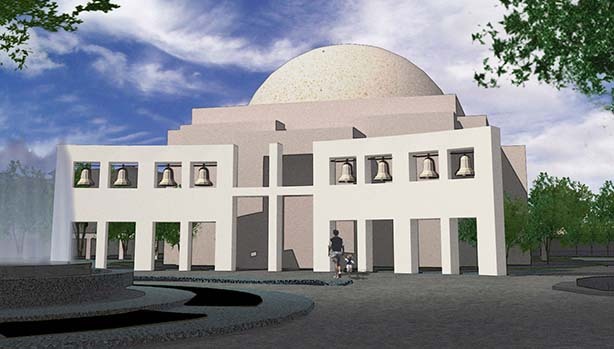 Buddhist Church of Sacramento 100th Anniversary Building Remodel project (in partnership with Takata, Sugioka, Kimura Architects). New Nokotsudo, remodel Hondo and mezzanine seating, Kaikan remodel. Remodel of existing Trellis and Yagura Up-grade project. 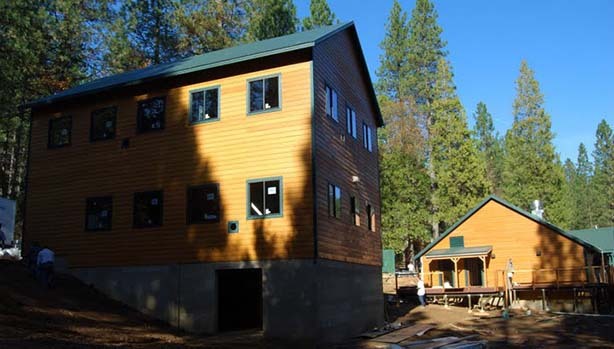 Placer Buddhist Church Toilet/Storage Addition, ADA Ramp Access and Main Foyer Remodel project, Penryn. 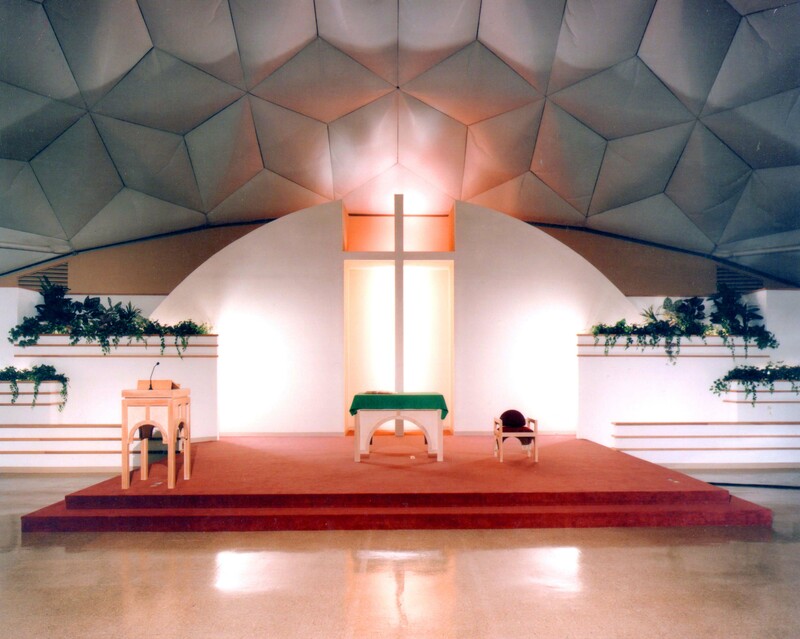 Sun Grove Community Church Interior Remodel, Elk Grove. 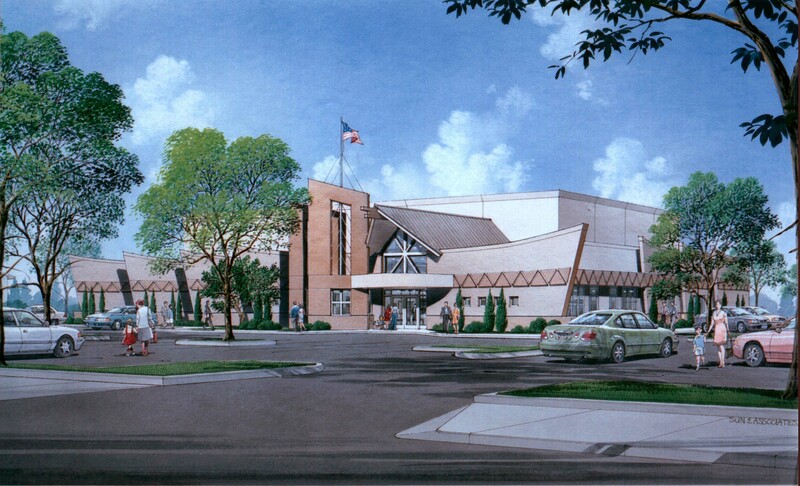 Convert previous Gold’s Gym facility into church for fast growing Sun Grove Community Church. Health For All/6th and I Street. 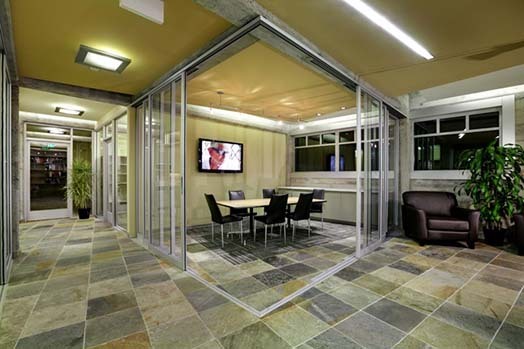 New basement level tenant improvement for Health For All corporate staff offices. 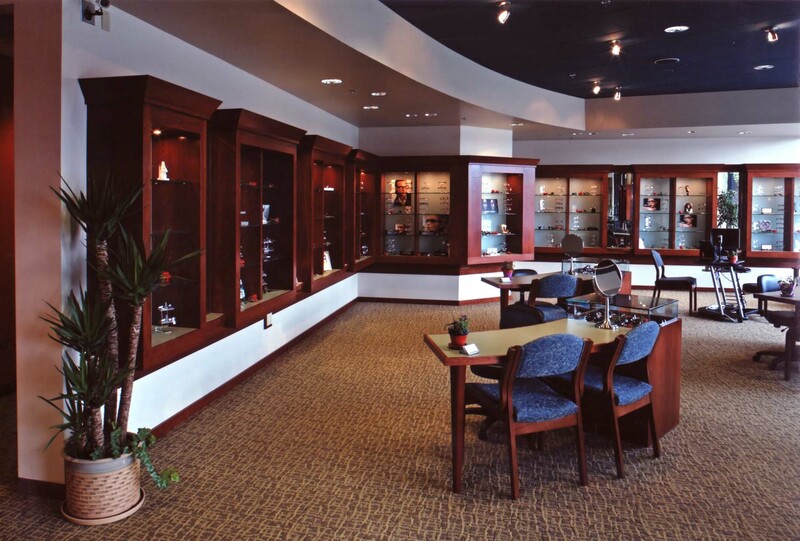 Owner: Dr. Richard Ikeda. 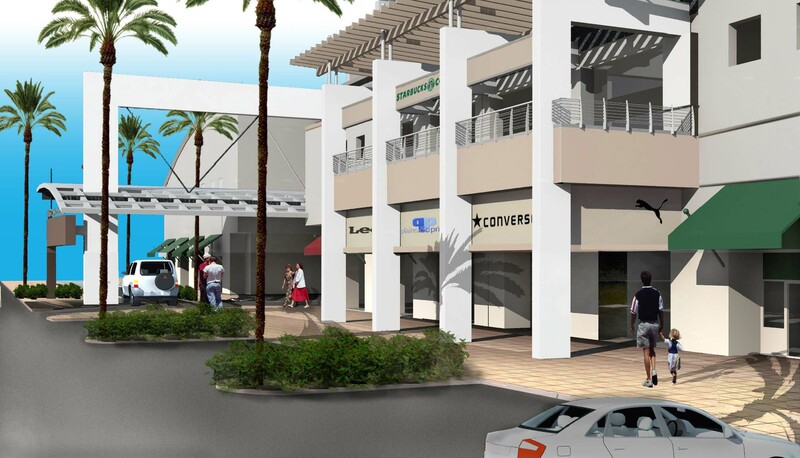 Capitol Area Development Agency (CADA) 10th Street Retail Exterior Modification Study. Joe Fong Residence Addition and Remodel/South Sacramento. Tony and Pam Mathios Addition and Remodel/East Sacramento. 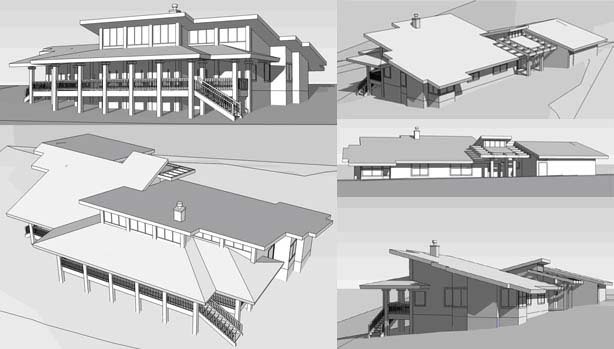 Lee Residence/Dillon Beach, new multi-level weekend residence on the bluffs over-looking Pacific Ocean and northern tip of Point Reyes National Seashore area. Phil and Leslie Sunseri House Addition/Vina and Napa Valley. Joe Nichelini House Remodel and Addition/Napa County. Taniguchi Residence/Kula, Maui. 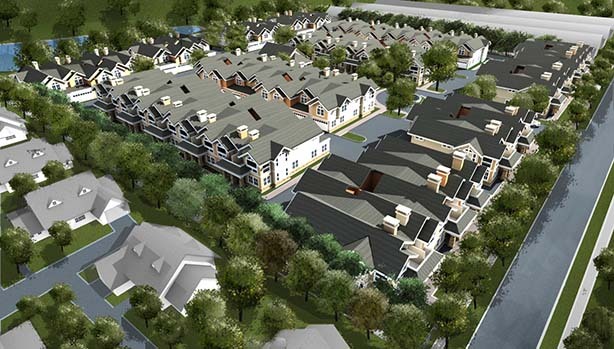 New site master planning and free-standing house on 2-acre farm site. 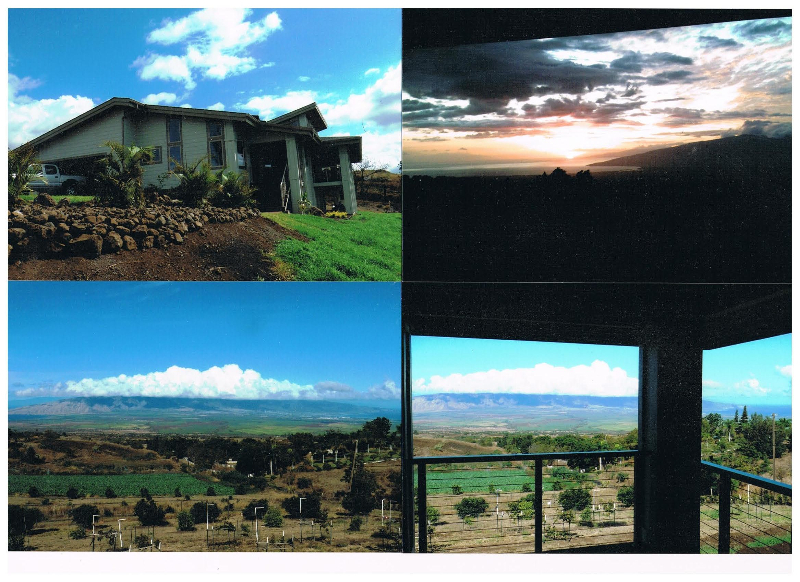 All living units, ie Large Living Room, Dining Room, Kitchen, all Bed Rooms, Lanai, have visual access to the sugar cane fields below and West Maui Mountains in back ground. Future detached rental unit on site. American Buddhist Seminary/West Sacramento. 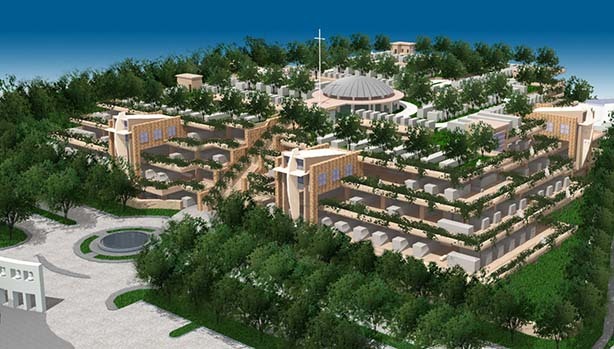 New Site Master Plan and Conceptual Design on 1 acre site for Sri Lanka Buddhist community. 1100 39th Street, Pine Tree Manor Apartment Remodel/East Sacramento. 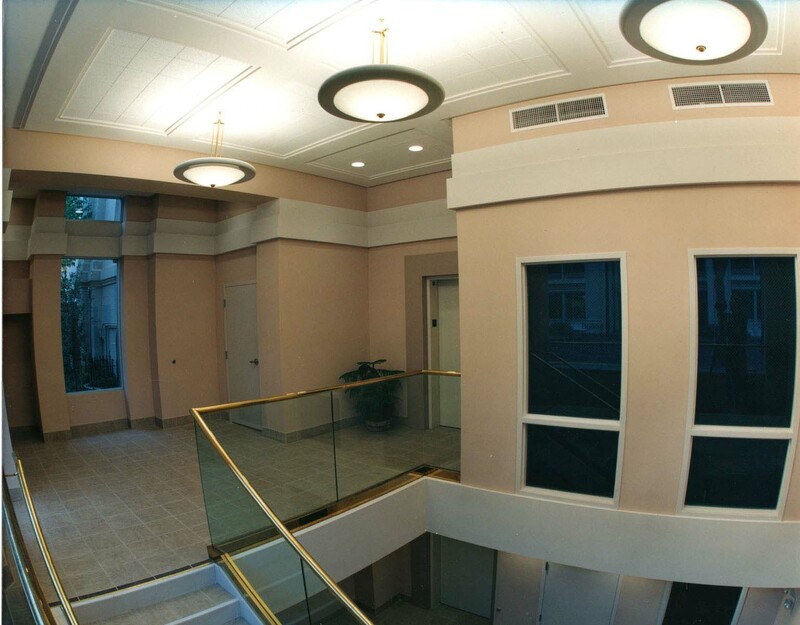 3 story apartment complex Entry Lobby and exterior Façade remodel/Improvement project. Nichelini Family Winery, Napa Valley. 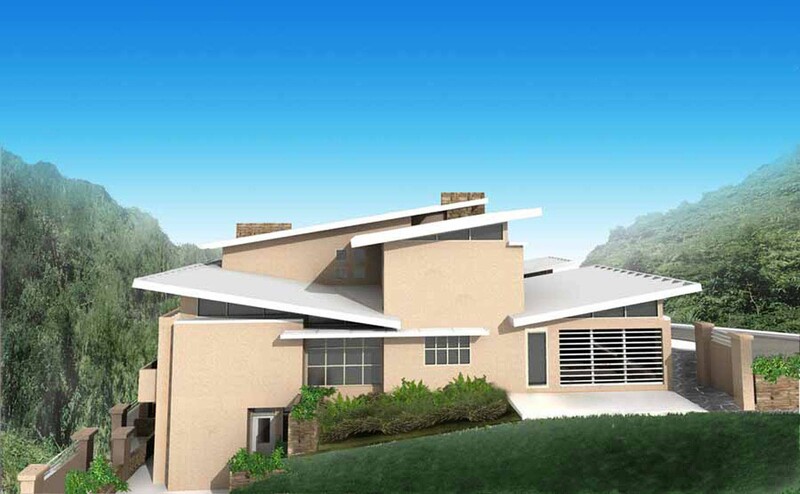 Master Plan for 160 acre site and original homestead of Nichelini Family with 3-story residence, Processing, Dry Storage, Barrel Storage, Wine Tasting Room, Out-door landscaped stair access to lower level Wine Tasting Area and vineyard. 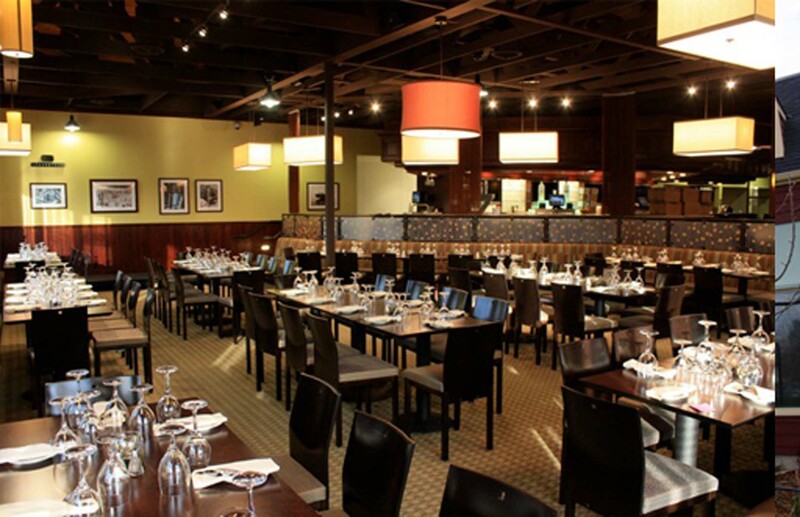 Buckhorn Grille Restaurants, Sacramento, San Francisco Center and Roseville Galleria. New dining and support kitchen for casual and affordable lunches and dinners. Famous tri-tip sandwiches and salads. 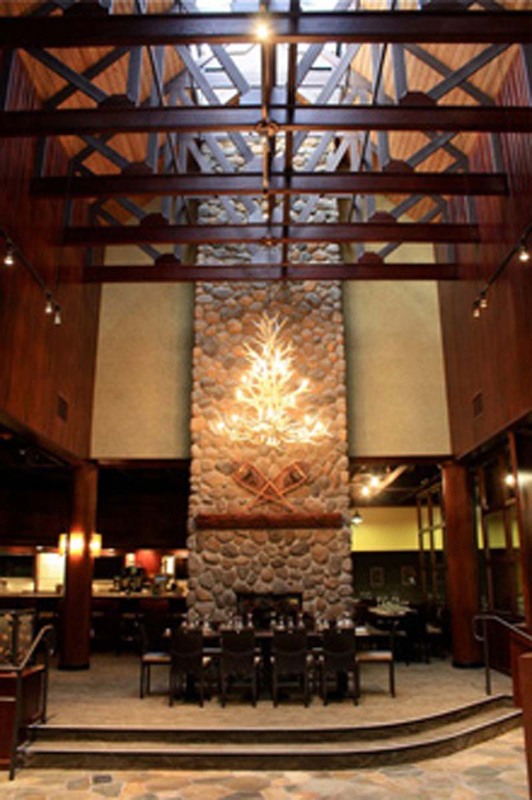 Off-shoot of well-known and nationally recognized Buckhorn Steakhouse in Winters. Season’s Restaurant, Davis. 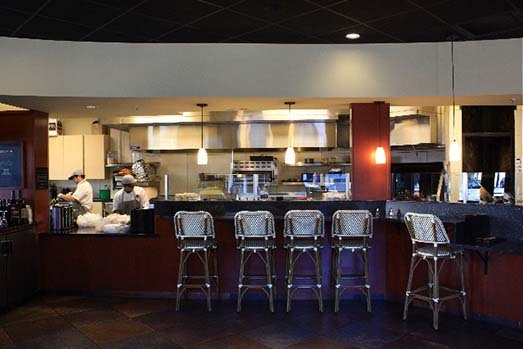 Remodel of existing restaurant to accommodate seasonally fresh local foods for fine dining, bar, private dining for parties. 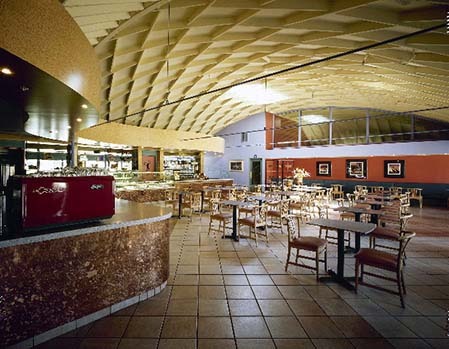 Cordova Restaurant and Casino, Rancho Cordova. 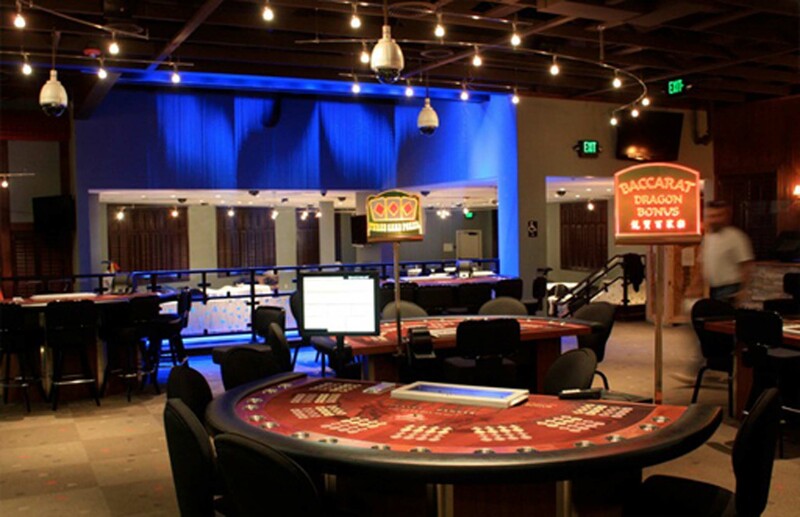 Remodel of existing Bridal Mart building into up-scale card room with 16 gaming tables (black jack, poker, pai gow), 100 seat full-service dining/bar area with full kitchen and office support. 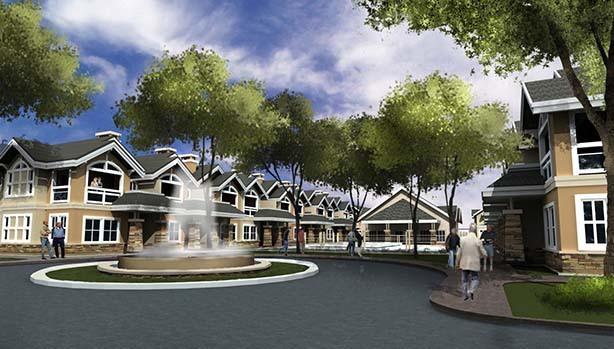 Currently H&R is working with this client from Southern California for similar projects in South Sacramento, Livermore, Stockton. 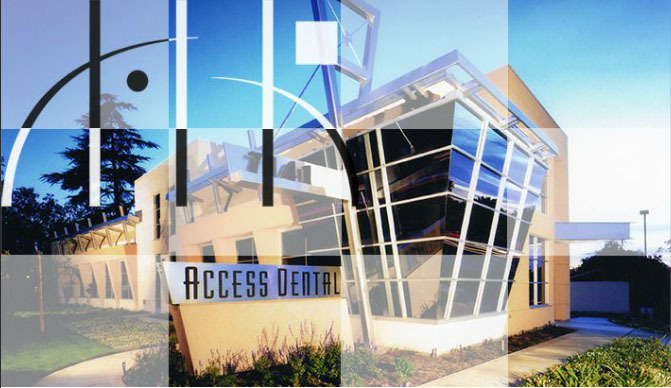 Access Dental Services New dental clinic with two separate Entrances/Waiting Areas, 14 operatories/Treatment Rooms, Billing, Records and Laboratory. 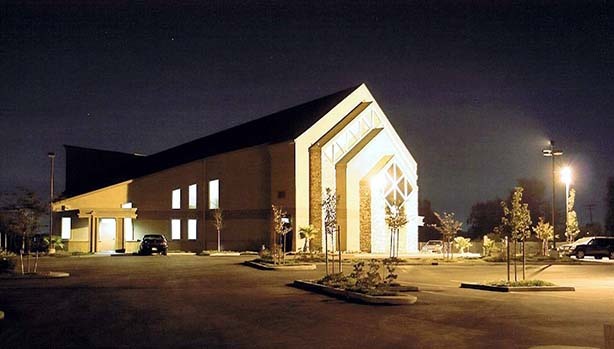 7141 Fair Oaks Blvd., Carmichael, CA. 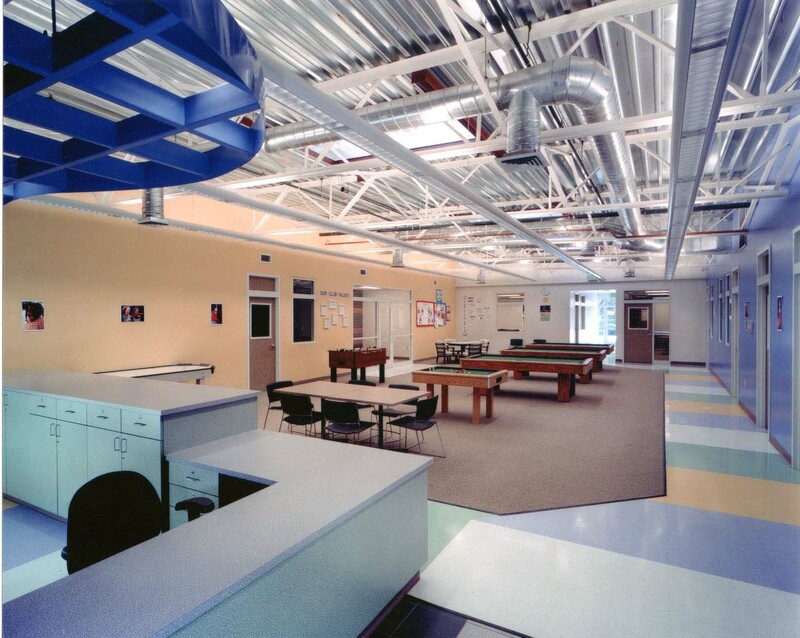 Boys and Girls Clubs of Greater Sacramento, Thomas P. Raley Branch. 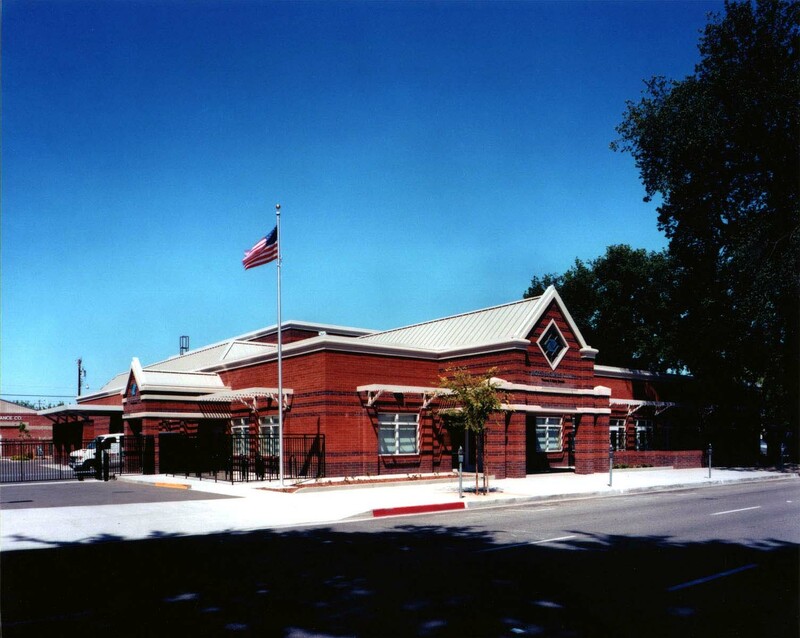 Alkali Flat Neighborhood Center – 1117 G Street, Sacramento. 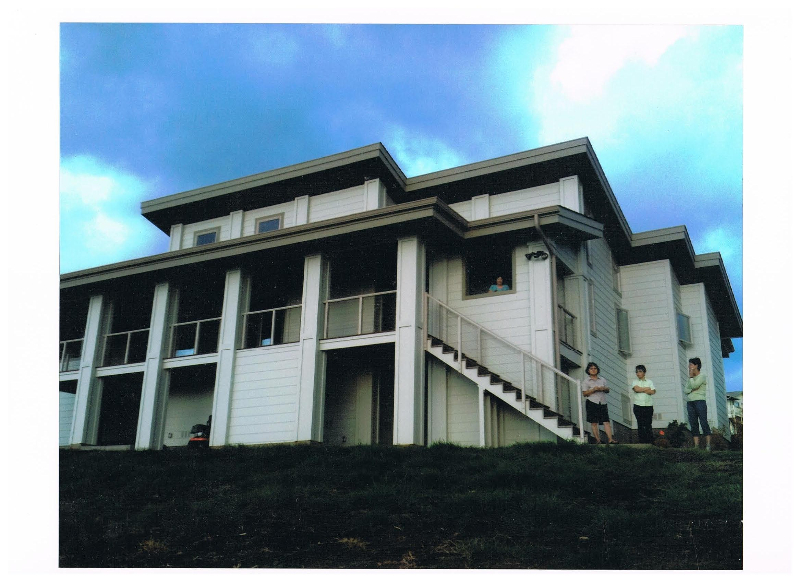 Project Completion: 1999. Construction Cost: $2.7 million. Scope: New shell, site and TI. 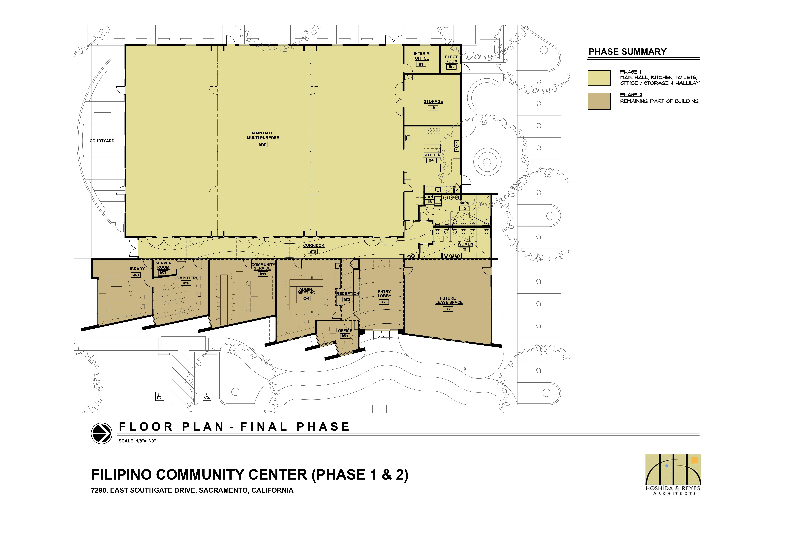 Arcade Church Master Plan and Expansion . 3927 Marconi Avenue, Sacramento, CA. 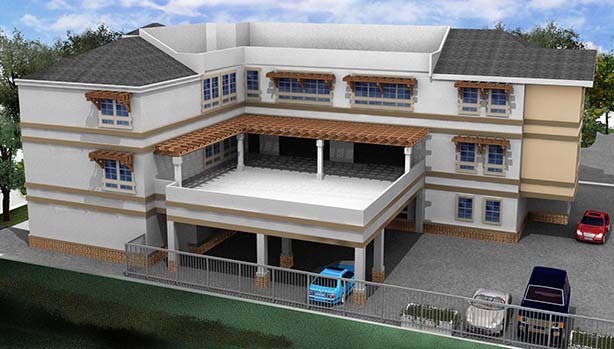 Project Completion: On-going Project. Construction Cost: $16.0 to 20.0 million. Scope: New shell, site and TI. 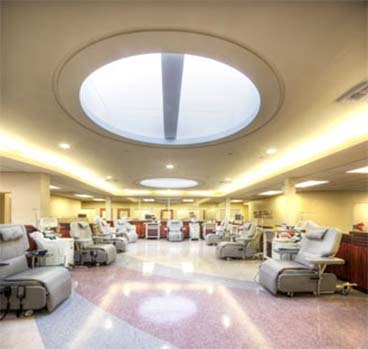 Sacramento Medical Foundation Blood Centers – Numerous On-Going Remodel Projects at Headquarters Building/Mather, New Laboratory Building/Mather and Satellite Clinics in Roseville, Folsom, Grass Valley, Laguna, Auburn, Davis, Yuba City/Marysville, Merced, Chico, Turlock, Sunrise. 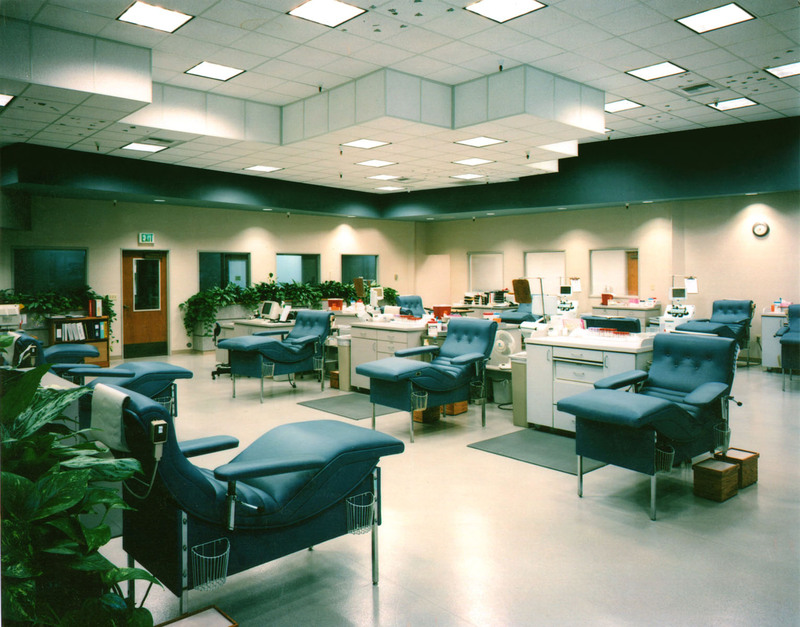 Remodel and Up-Grade of the following departments at the headquarters building in Sacramento: Donor Stations, Strip and Seal, Interview Rooms, Gazebo Waiting Area, Therapeutics Suite, Progenitor Cell Laboratory, Nucleic Acid Testing Lab, Compliance/QA, Data Entry, Nurse Training, Volunteers, Production Activity Coordination Center. 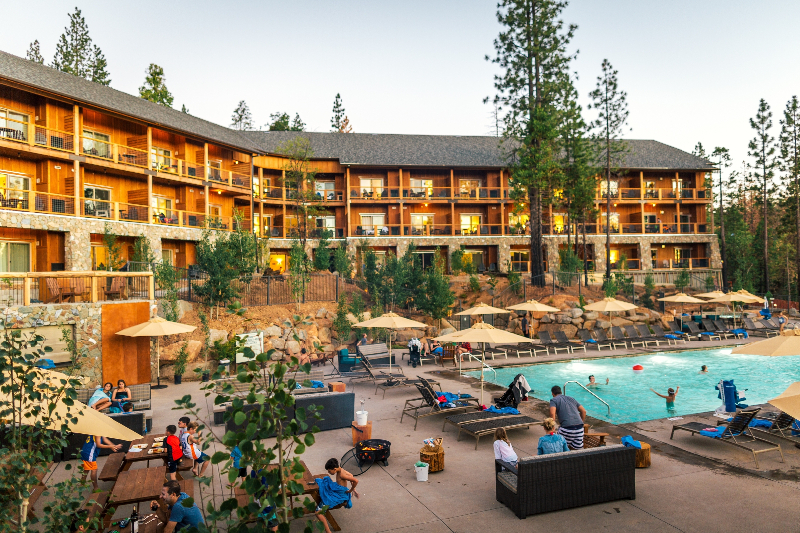 Camellia Inn & Suites Hotel at the University of California Davis Medical Center New 4 Story, 100,000 sf Hotel on 3.5 acre site with 139 hotel rooms, 5 Conference/Meeting Rooms, Restaurant, Coffee Bar, Faculty Club, Exercise Room, Out-Door Swimming Pool. 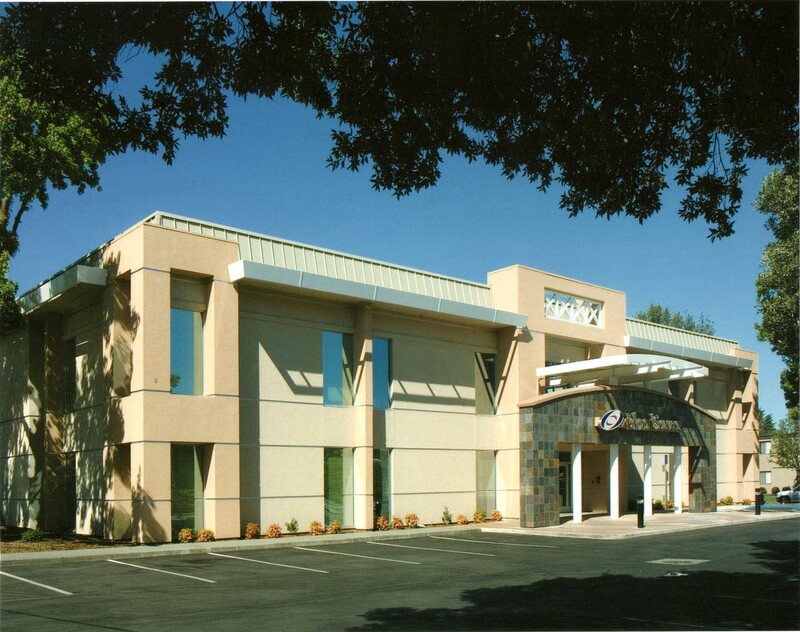 Located across the street from the Shriner’s Children Hospital and two blocks away from the UC Davis Medical Center. 4422 Y Street, Sacramento. 13th & T State of California Air Resources Board Laboratory Remodel and Addition 2 story Office and Laboratory remodel and addition for the ARB Laboratory Division in downtown Sacramento. This facility monitors and conducts testing for statewide air quality, in support of State of California Environmental Protection Agency. 1927 13th Street, Sacramento. Folsom Urgent Care TI. 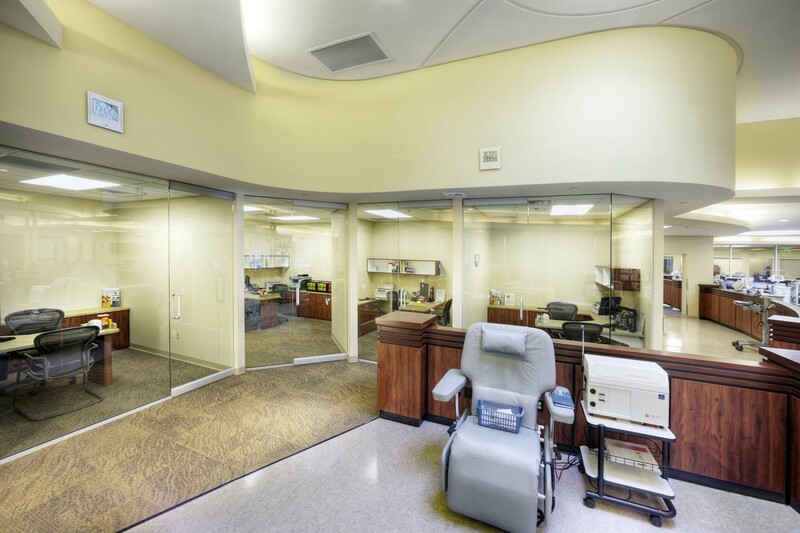 New Procedure Rooms, Exam Rooms, X-Ray, Central Work Area, Reception and Waiting. 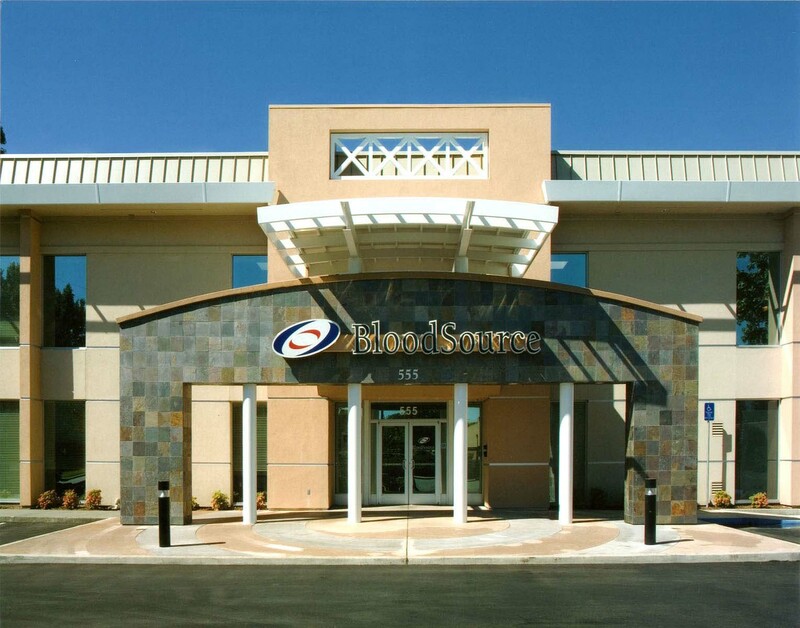 This busy clinic is located in the fast growing City of Folsom and El Dorado County area. 13385 Folsom Blvd., Folsom, CA. UC Davis Medical Group/Primary Care Medical Outpatient Clinic Master planning and Schematic Design to develop a network of new free-standing primary care facilities through-out Northern California communities to help develop new patients and programs for the School of Medicine and UC Davis Medical Center. 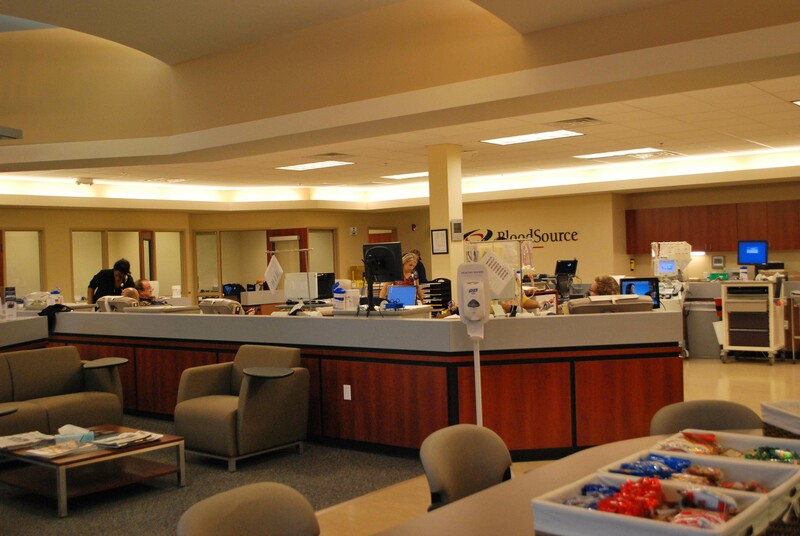 2 story, 20,000 sf building includes Urgent Care Clinic, Pediatrics, Radiology, Patient Records/Staff Records/Staff Area, Two Primary Care Clinics. Carmichael, CA. 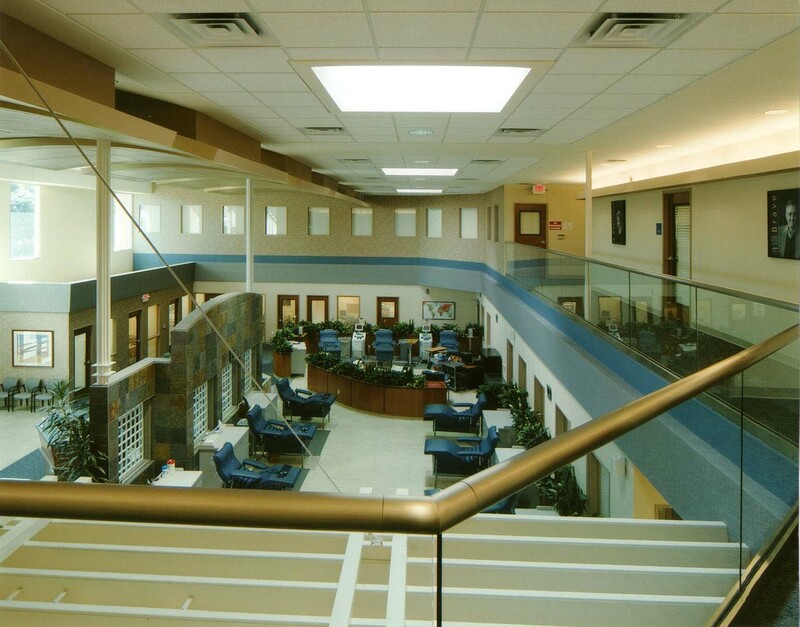 Health For All – Adult Day Care Facility Remodel. 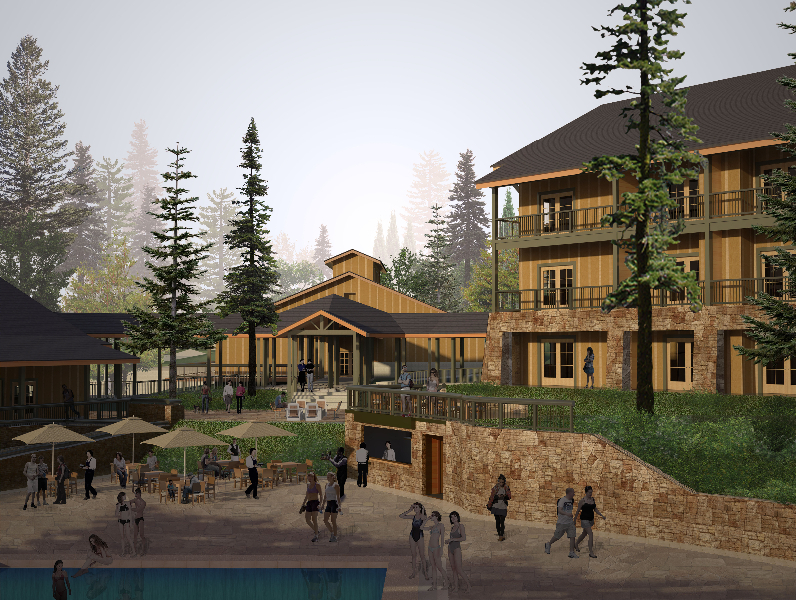 Remodel and conversion of existing restaurant to be used as an adult day care facility. 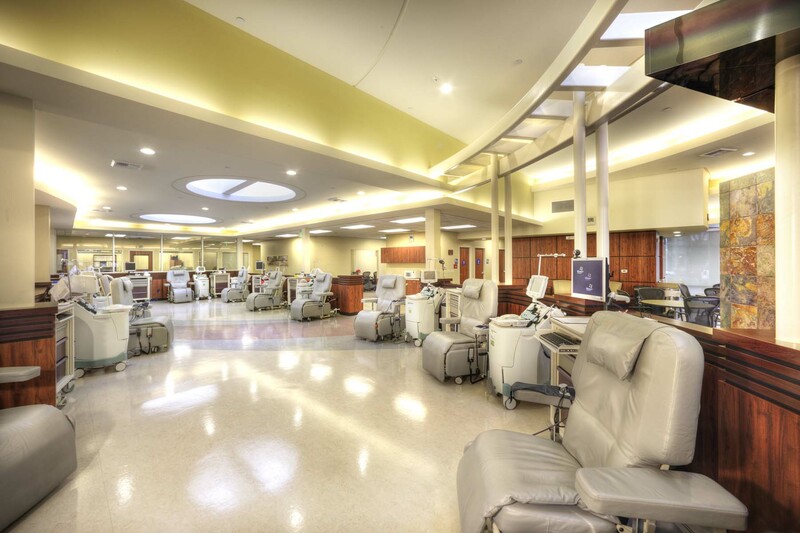 Spaces include: Multi-Purpose Community Room, Kitchen, Physical Therapy/Exercise Room to help support another Health For All /program two blocks away. 100 East Pine, Lodi, CA. UC Davis Medical Center Temporary Helistop on top of existing Multi-Level Parking Structure 2315 Stockton Blvd., Sacramento,, CA. 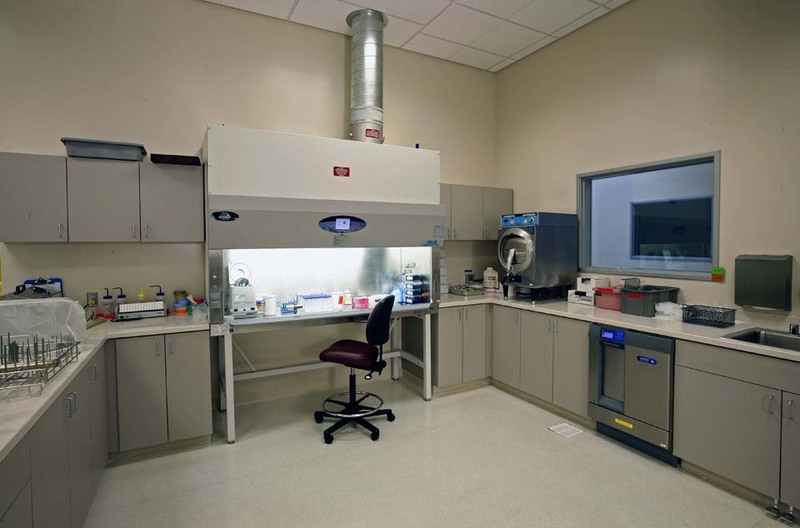 UC Davis Department of Neurosciences Medical Research Laboratories. 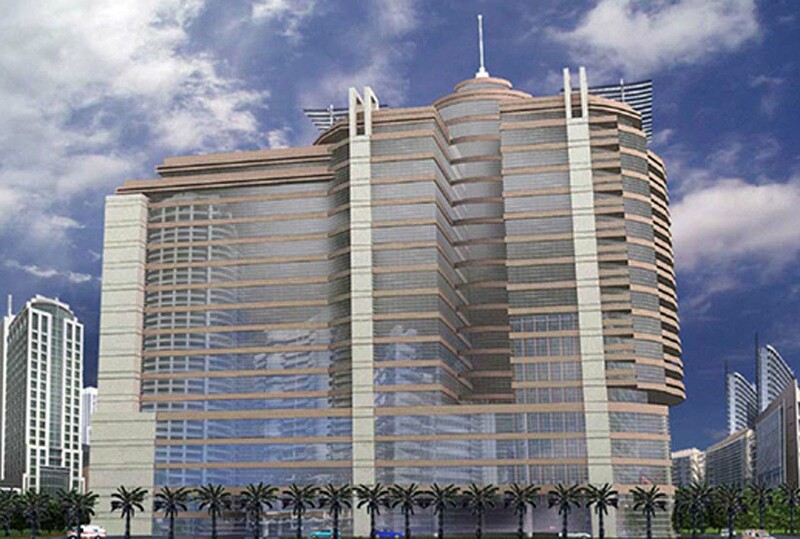 New one story, 45,000 sq. 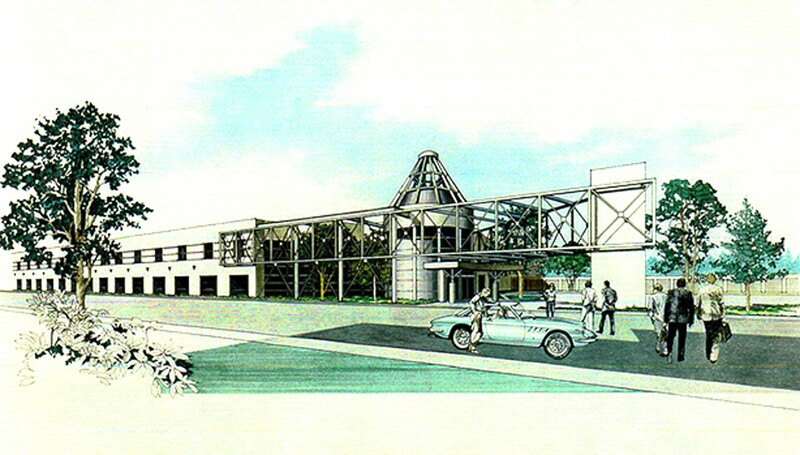 ft. medical research laboratory building and master plan, with 43 separate research labs (for Neurology, Otolaryngology, Genetics), central equipment and laboratory support rooms, 5 control temperature rooms, central sterilizers, faculty and research offices, conference rooms, 8 small animal research rooms. Co-ordinated requirements with UCD School of Medicine, Environmental Health & Safety, UCD Fire Marshal. 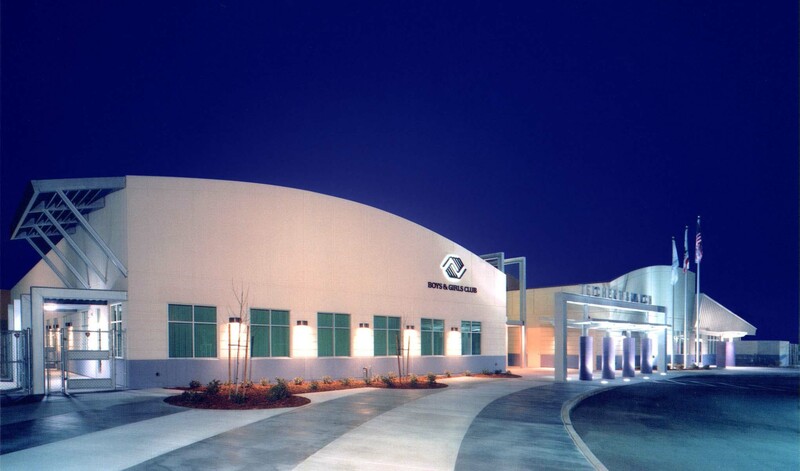 University Research Park, Davis, CA. 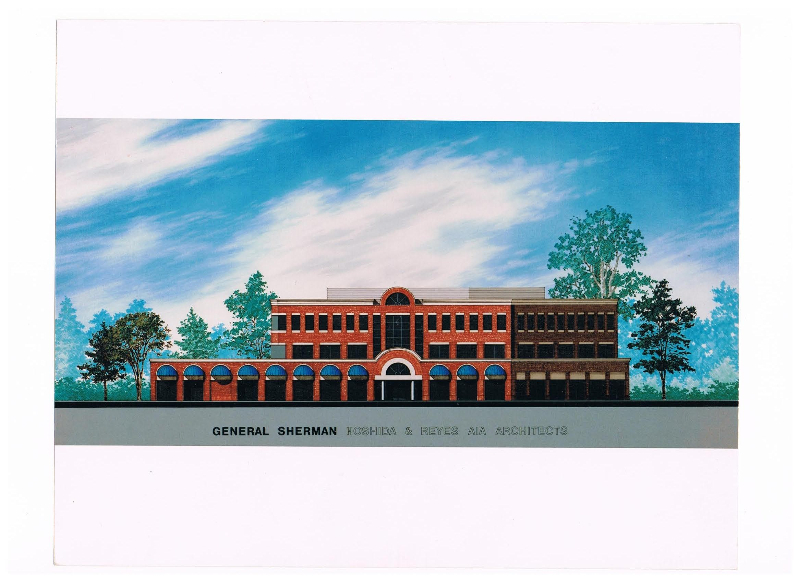 General Sherman Office and Retail Building/Sacramento. 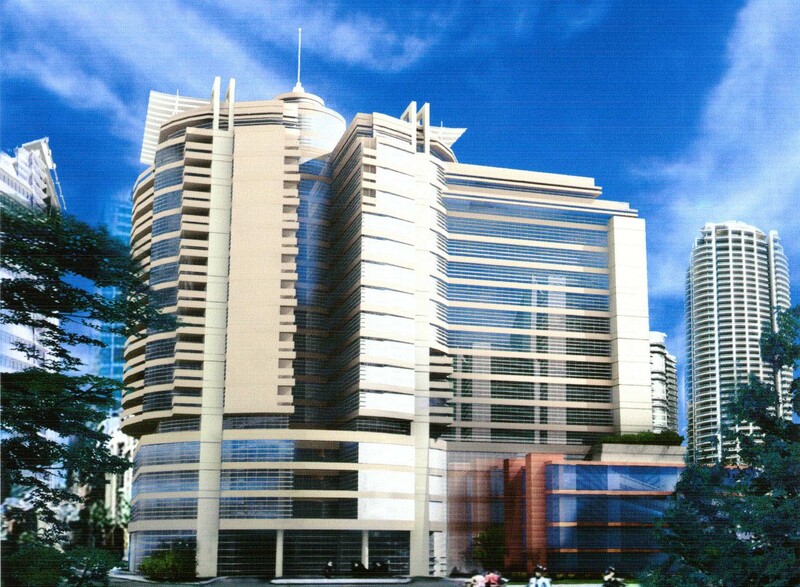 New 3-story, 27,000 sq. 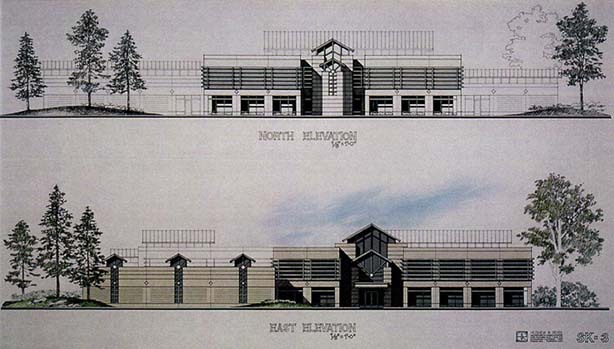 ft. office building and master plan for the University of California Davis Medical Center Associate Directors/Chief Operating Officer and their staffs, together with underground parking for 72 cars. Remodel of existing one story brick retail building on the southeast corner to integrate with a new multi-story office and parking structure. 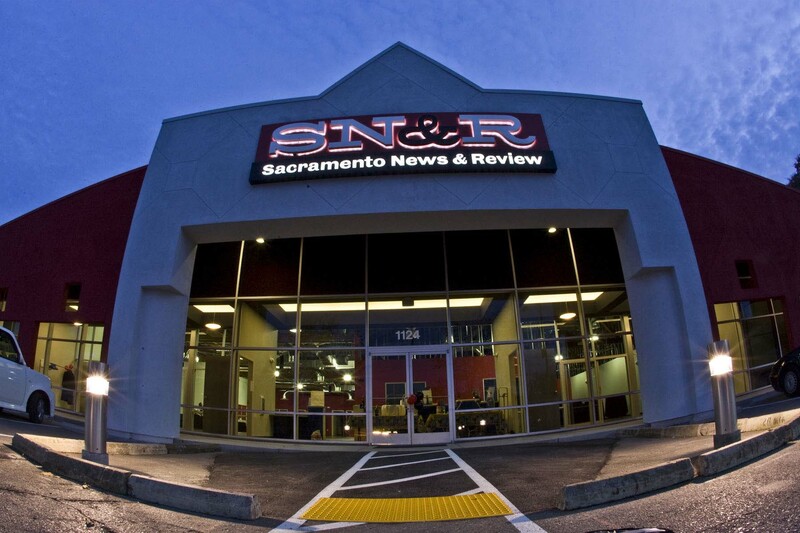 2300 Stockton Blvd., Sacramento, CA. 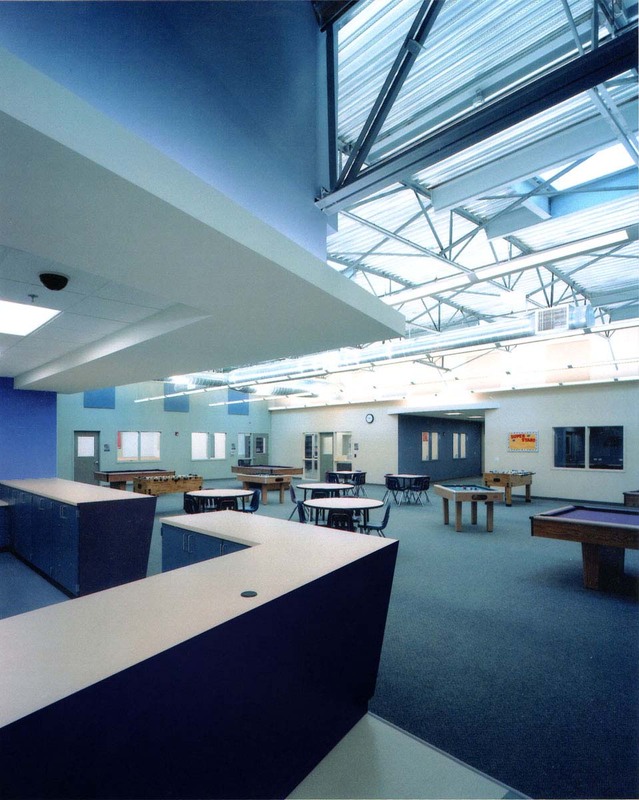 Bishop Manogue High School Remodel and Addition. 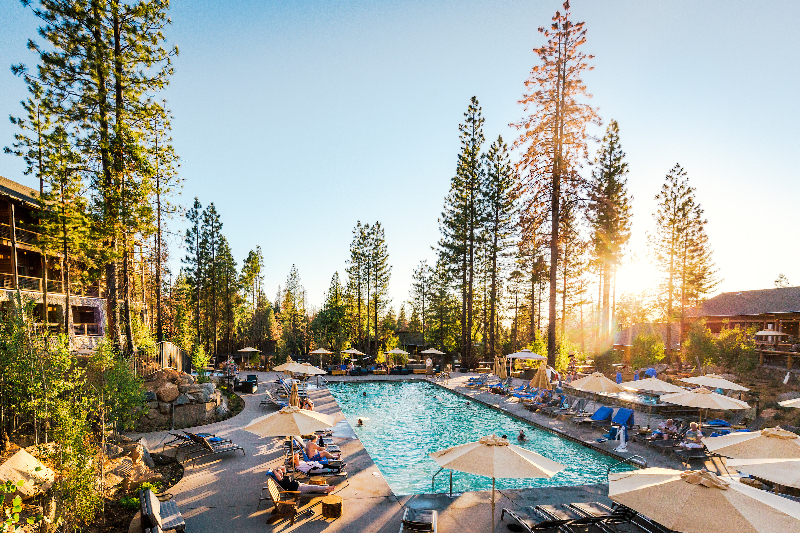 Remodel of existing 73,000 sq. 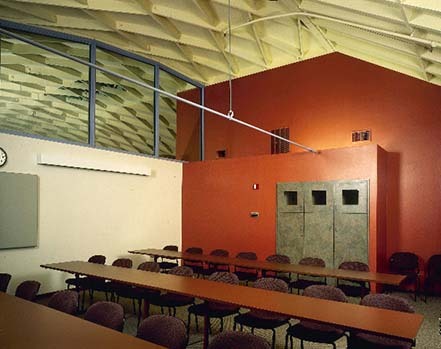 ft. cluster of buildings (administrative, 2-story wing with 12 separate classrooms, gymnasium/dining/kitchen facilities) into a conference center, classrooms and offices for the California State Department of Motor Vehicles. 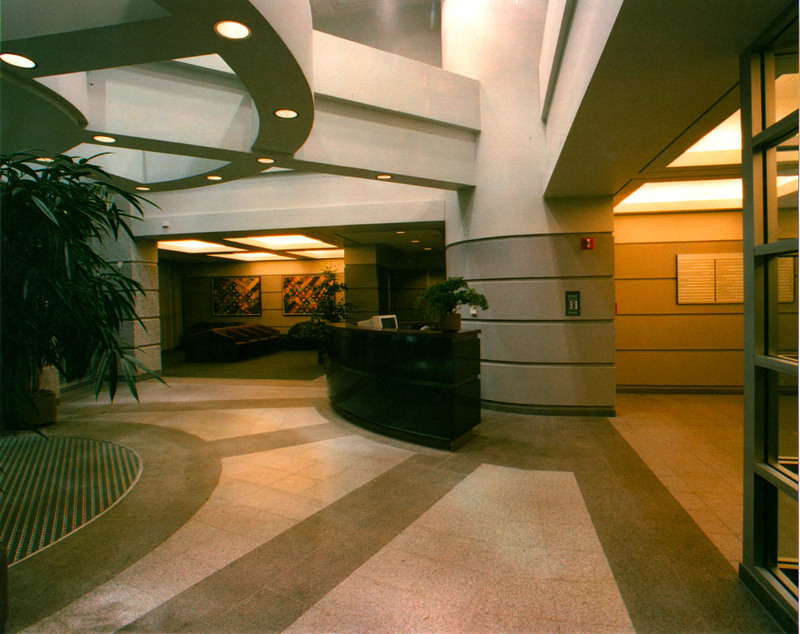 A main entrance lobby and a hydraulic elevator was added to integrate with the precast concrete panels and brick exterior and comply with ADA and Title 24 handicap accessibility requirements. 21st & Broadway, Sacramento, CA. 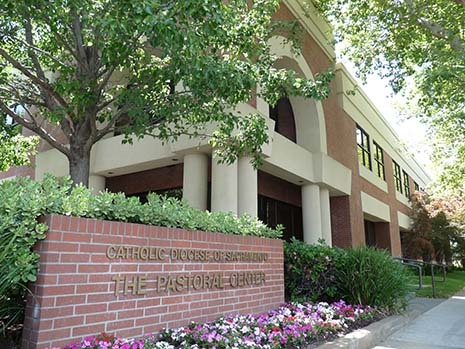 Pastoral Center for the Catholic Diocese of Sacramento. 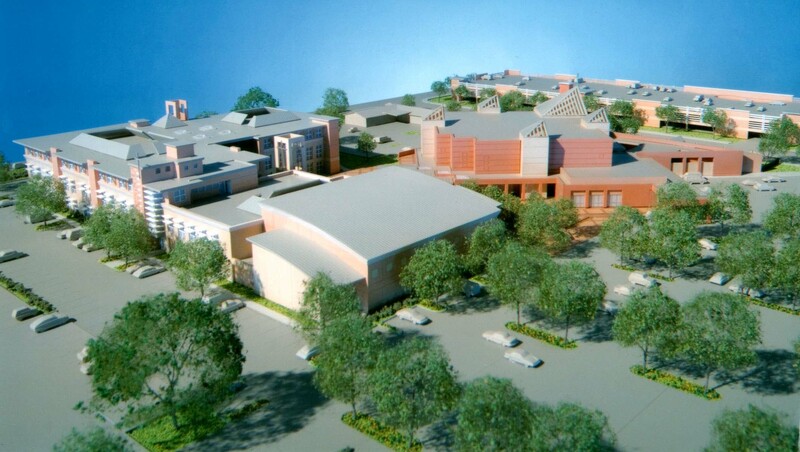 Schematic Design and master plan expansion of the Bishop Manogue High School site master plan for a new 38,300 sq. ft., 2-story office building to house the Bishop and his administrative staff headquarters for the Diocese of Sacramento. 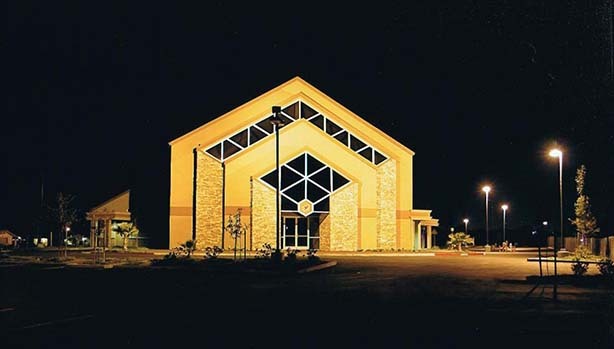 This is the administrative center for all of the Catholic Churches in Northern California. 21st & Broadway, Sacramento, CA. Filipino Community Center of Greater Sacramento. New 13,000 sq. 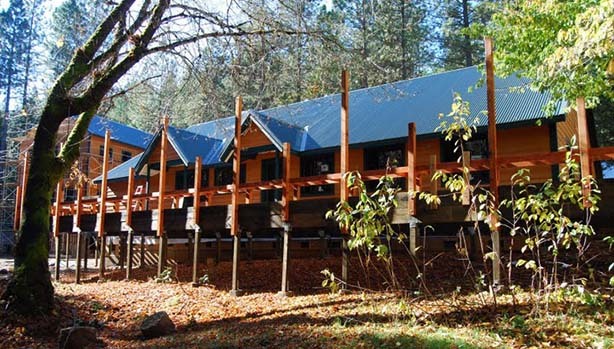 ft., single story community center. 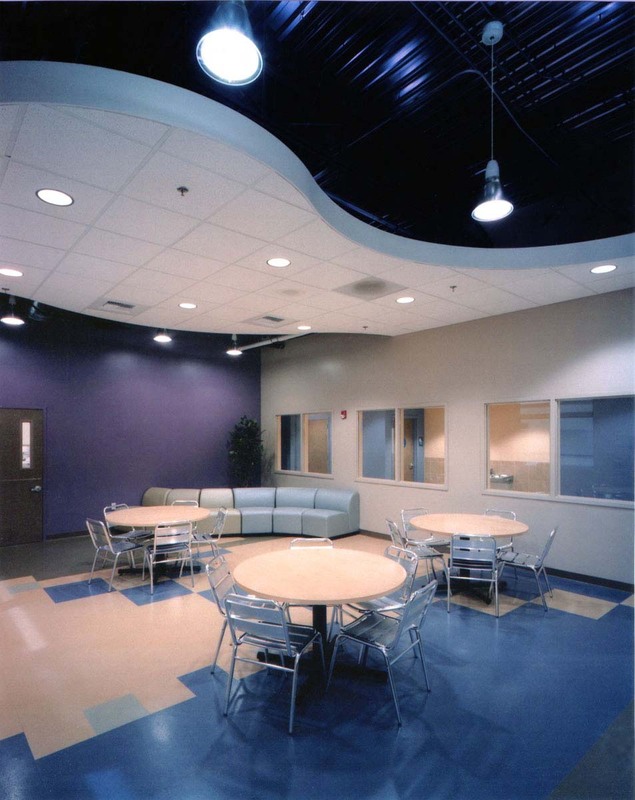 Interior spaces include: Community Multi-purpose Room, Kitchen, Dining Room and Small Meeting Room, Reading Room/Library, Administrative Offices for support staff, and on-site parking as required. East Southgate Drive., Sacramento, CA. 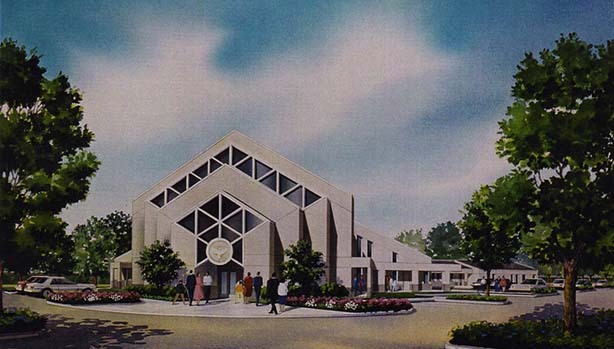 Westminster Presbyterian Church Master Plan and Assessment Report. Assessment Report and Remodel/restoration of historic downtown church across from the State Capitol Park. 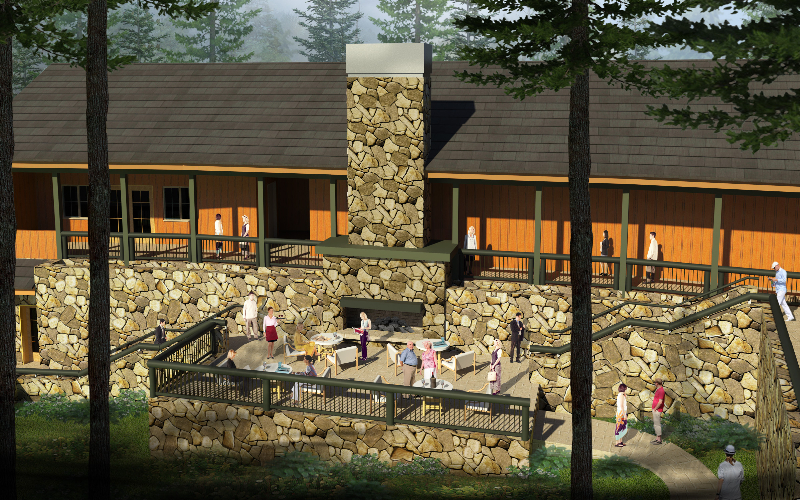 Master Plan and interior remodel incorporating ADA handicap accessibility thru out existing facilities, improvement of classrooms and private staff offices, mechanical/electrical up-grades. 1300 N Street., Sacramento, CA. 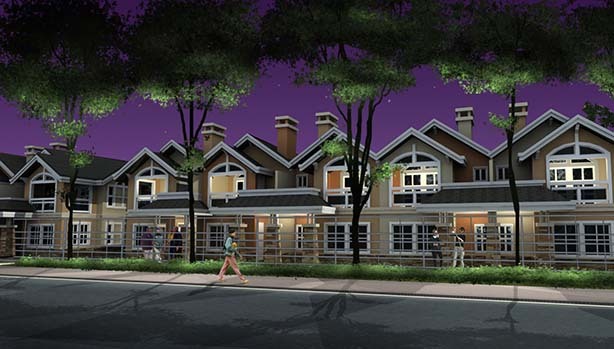 Sacramento Housing & Redevelopment Agency, Numerous Projects. 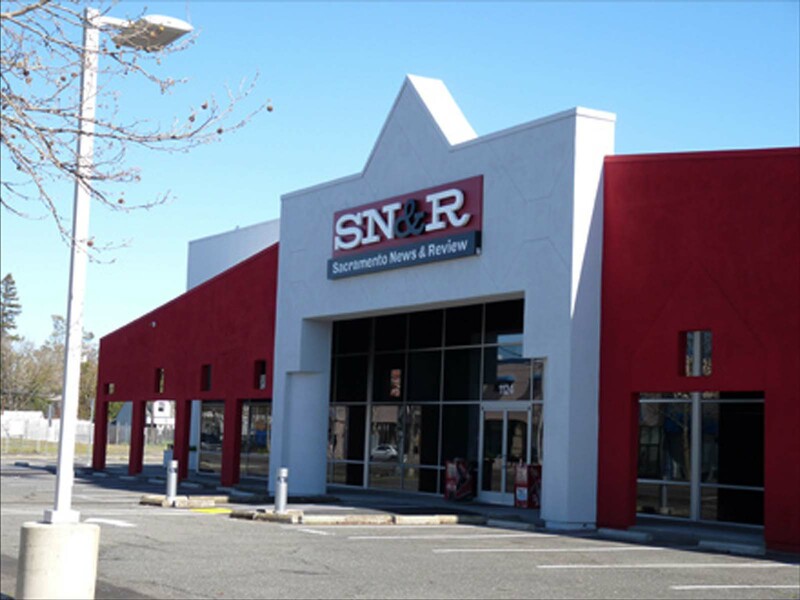 H&R was hired to help assist private property owners to up-grade their storefronts in various redevelopment areas thru-out Sacramento County as part of the SHRA Commercial Revitalization Project. 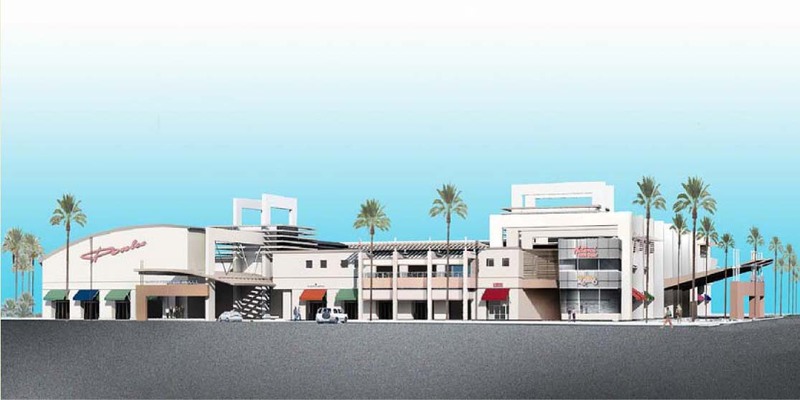 Projects included Sam’s Auto Repair/Watt Avenue, Formosa Café/Del Paso Blvd., Asian Supermarket/Franklin Blvd., TST Auto/Stockton Blvd., T&D Glass/Fruitridge Road, Golden Rice Bowl/K Street Mall, 3300 Broadway Building Remodel/Broadway.